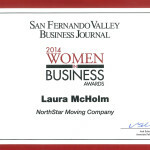 Laura McHolm, Director of Marketing and Co-founder for NorthStar Moving Company, was nominated for the 2015 Women in Business Awards. 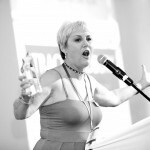 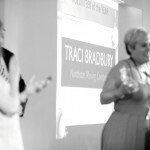 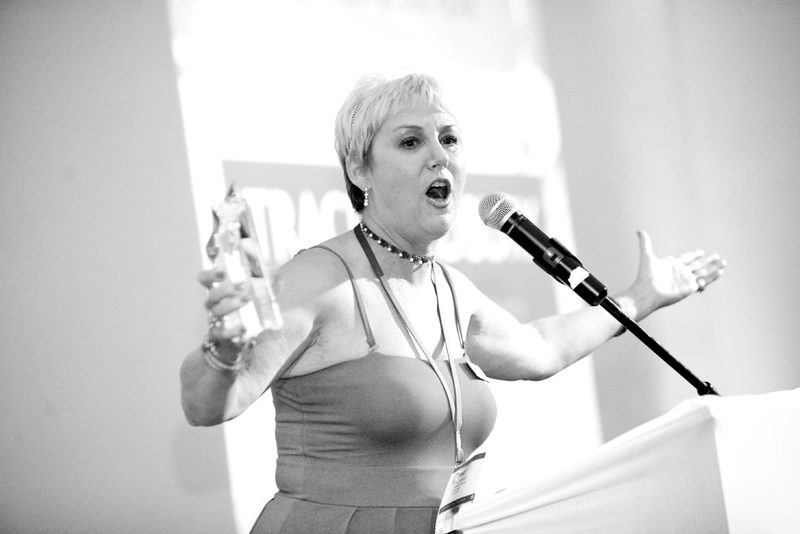 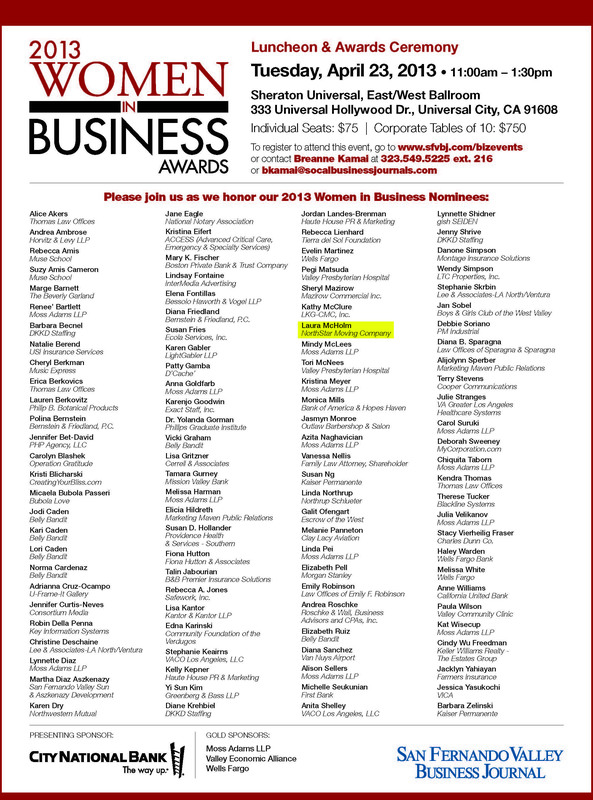 This award is given to women at the helm of companies making great strides in business. 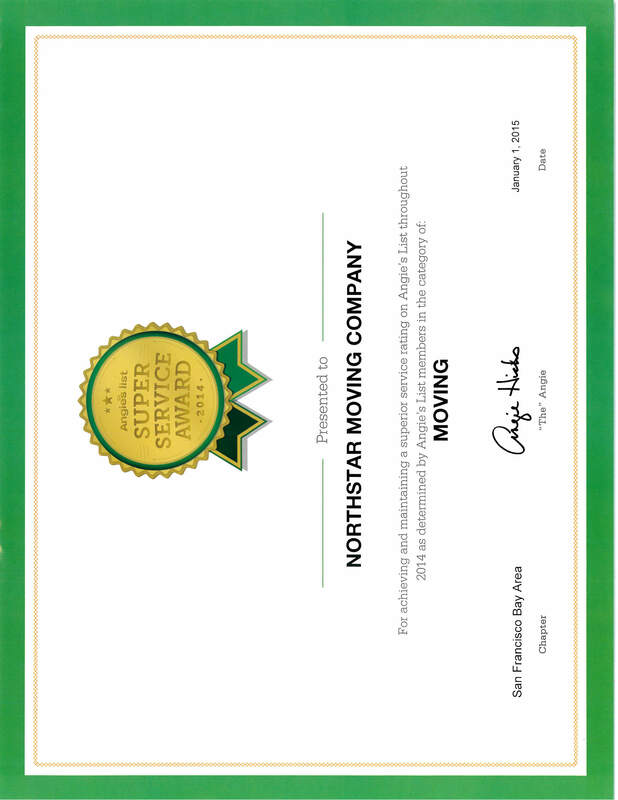 For achieving and maintaining a superior service rating on Angie’s List throughout 2014 as determined by Angie’s List members in the category of: Moving! 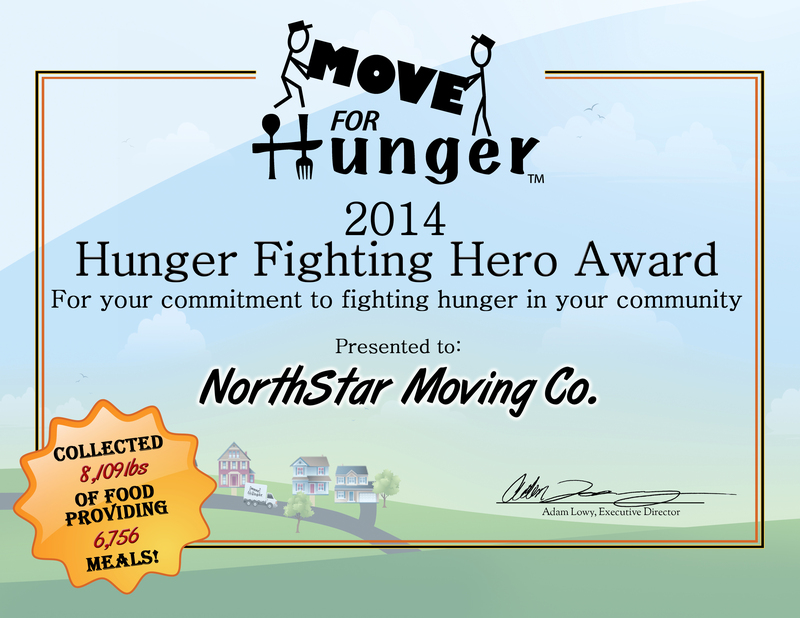 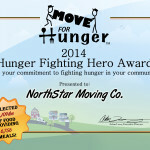 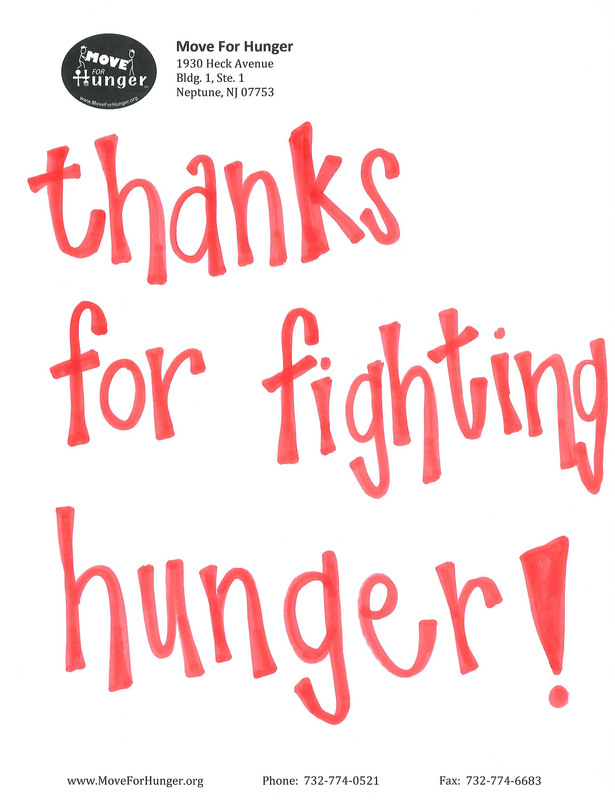 NorthStar Moving Company was awarded the 2014 Hunger Fighting Hero Award from Move For Hunger for helping to raise and donate 8,109 lbs. 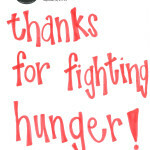 of food to the Los Angeles Regional Food Bank and Second Harvest Food Bank of Orange County. 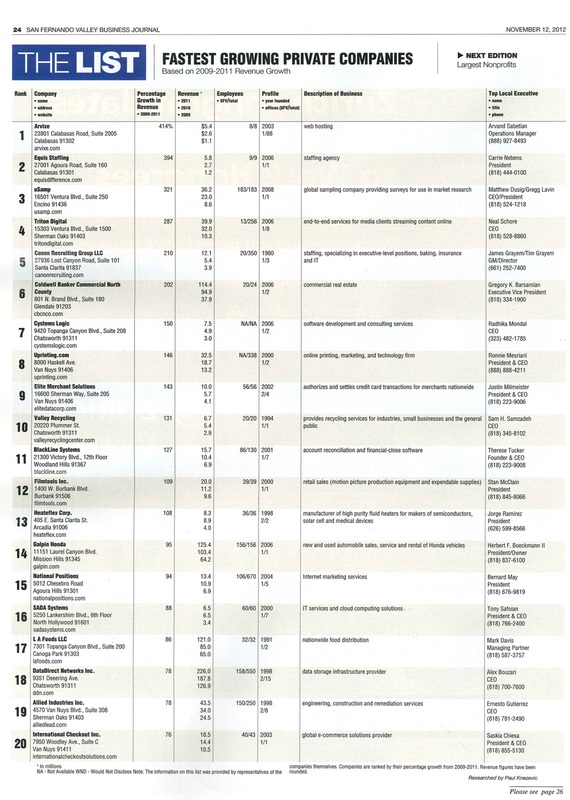 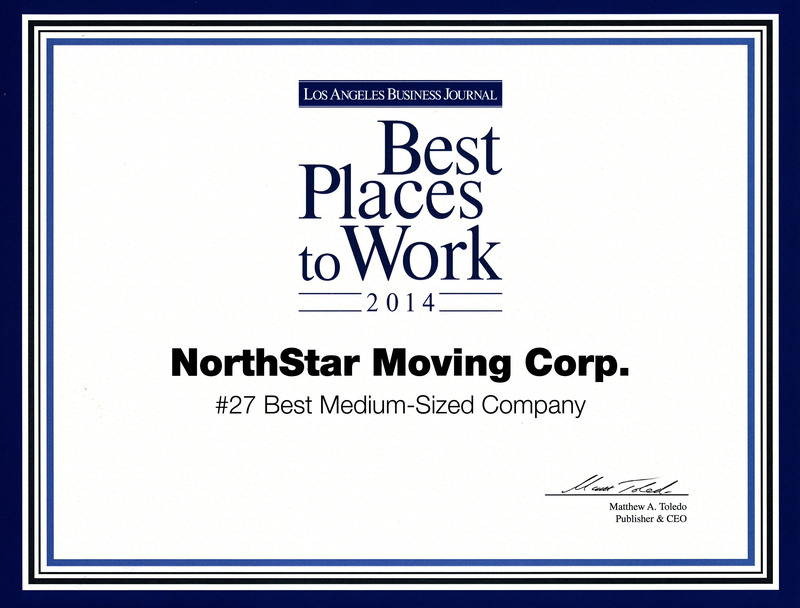 The San Fernando Valley Business Journal ranked NorthStar Moving Company #14 out of #28 for one of the valley’s largest family-owned businesses in 2014. 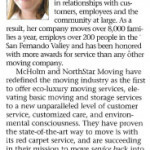 NorthStar Moving Company ranked #14 on the list of Largest Family Owned Businesses by the San Fernando Valley Business Journal. 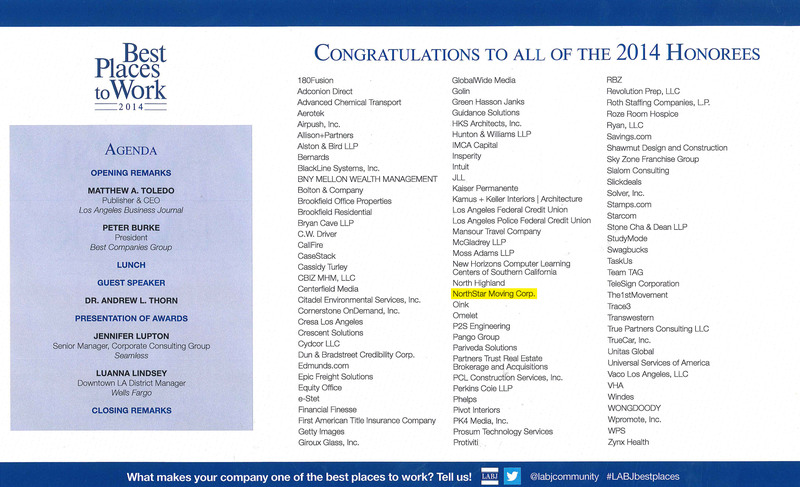 NorthStar Moving Company was once again recognized by the Los Angeles Business Journal as number 51 out of the Top 100 Women-owned Businesses based in Los Angeles County. 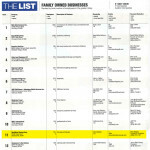 This annual list was ranked by revenues. 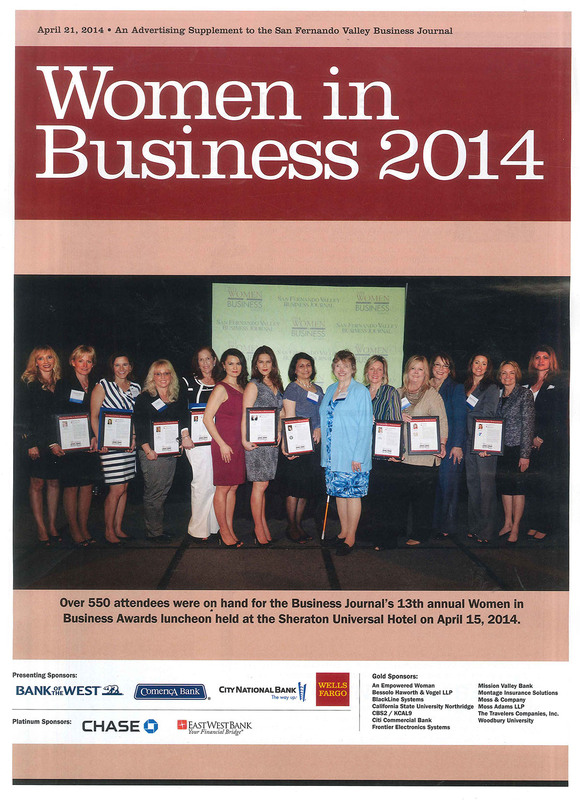 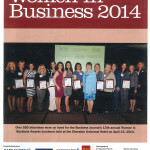 The Los Angeles Business Journal issue that features the 2014 list of Largest Women Owned Businesses. 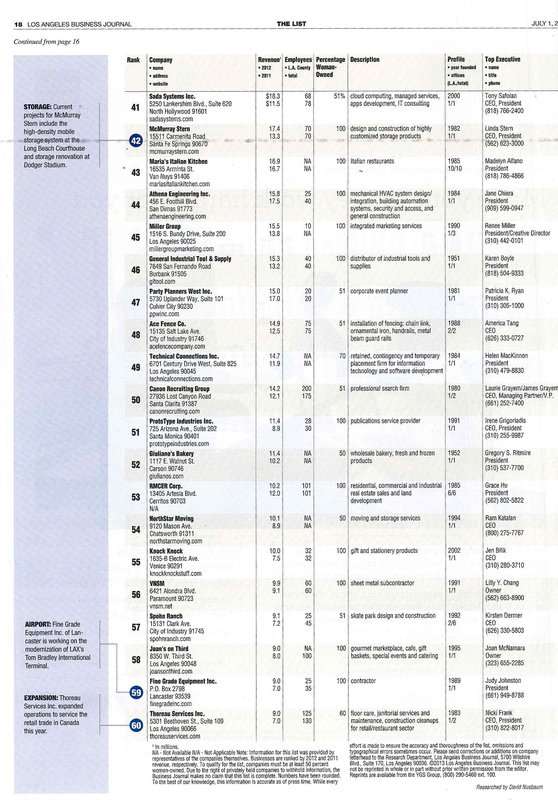 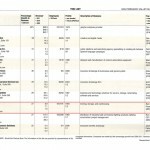 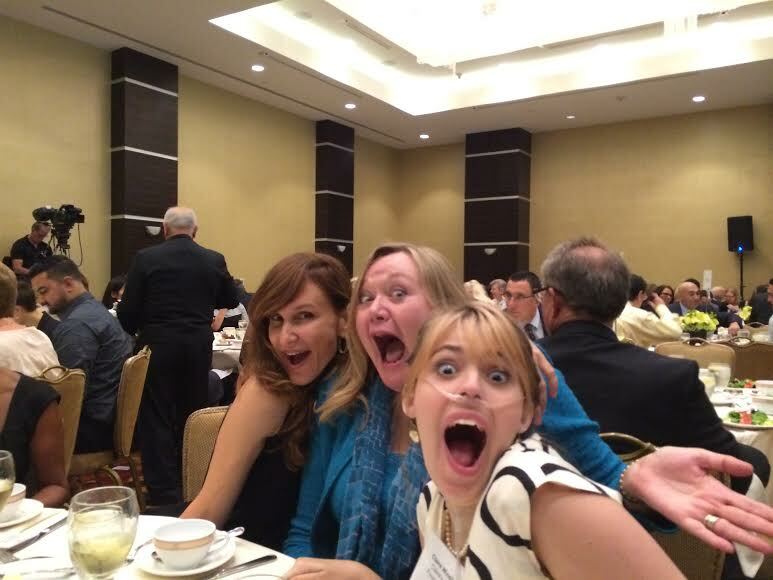 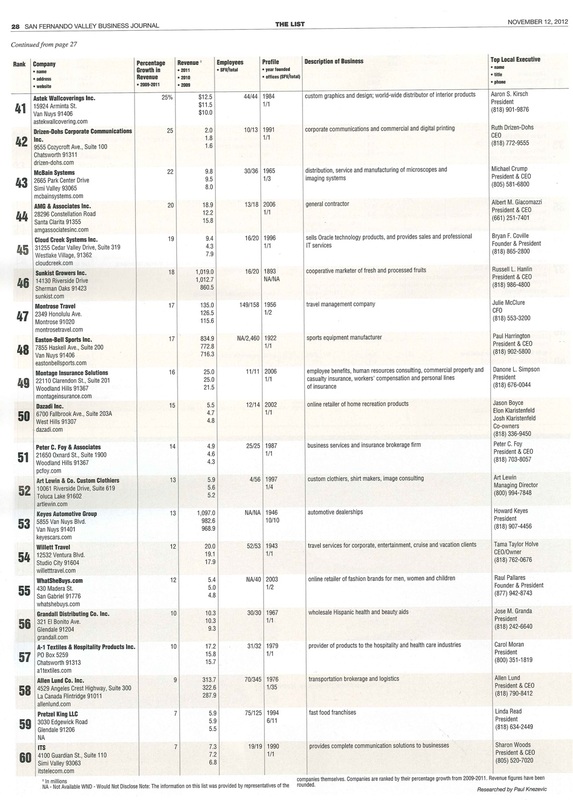 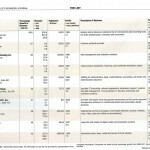 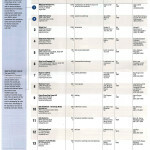 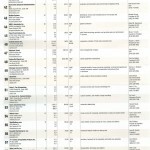 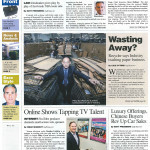 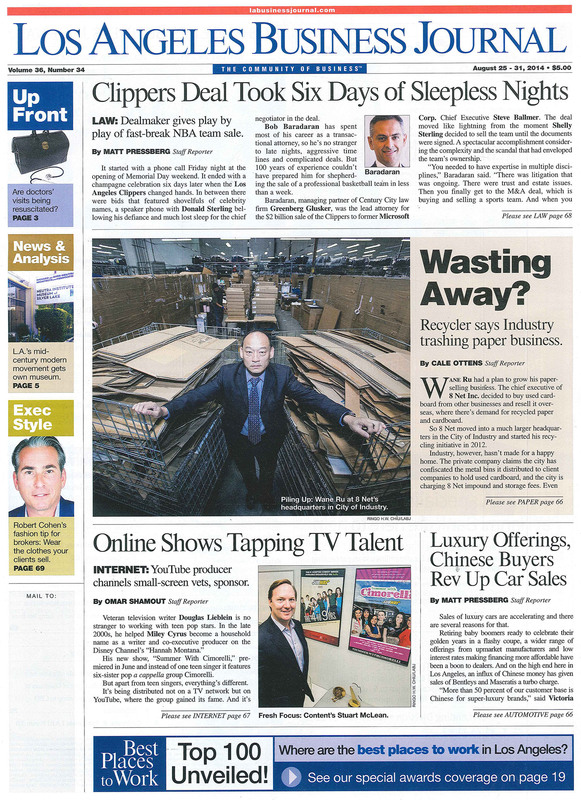 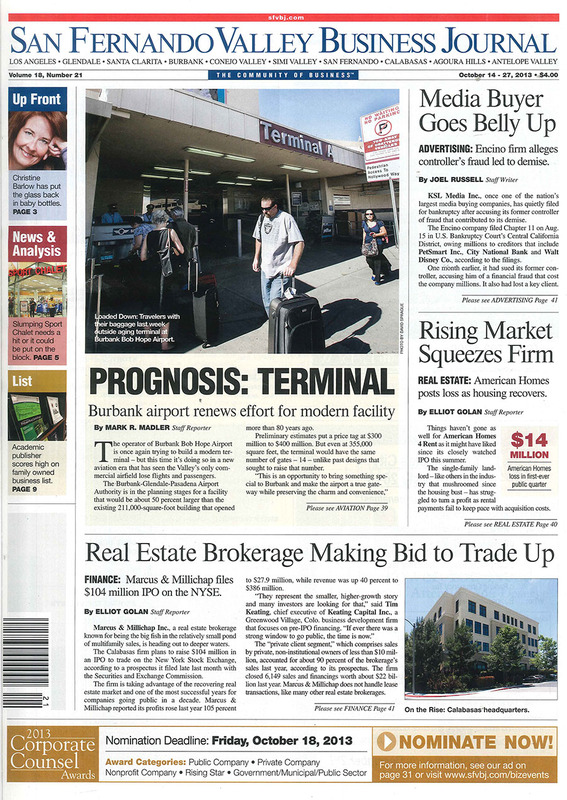 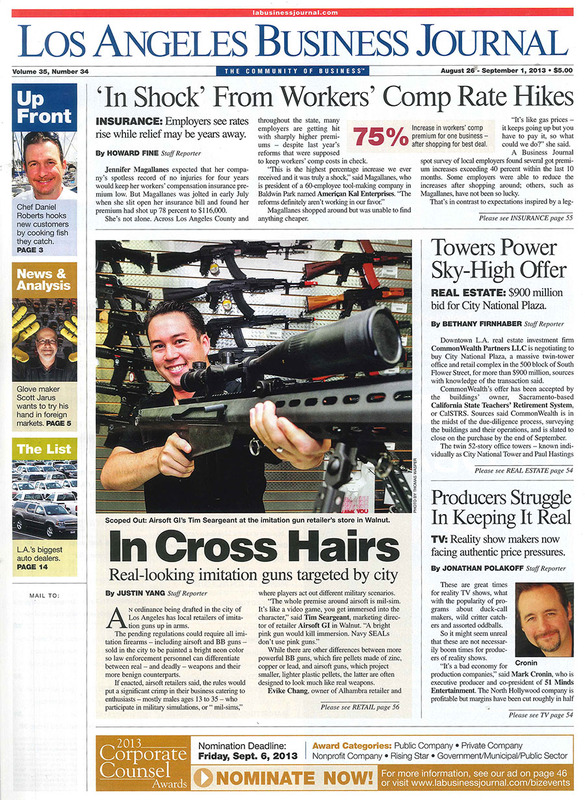 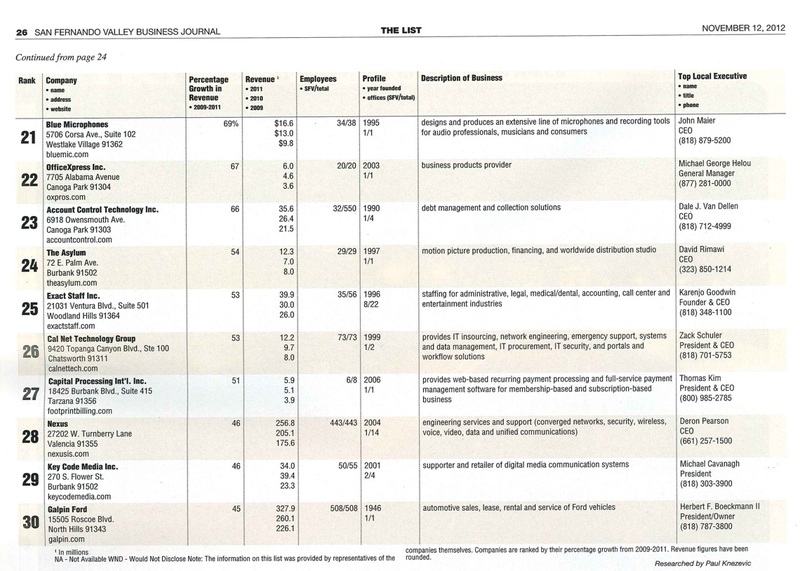 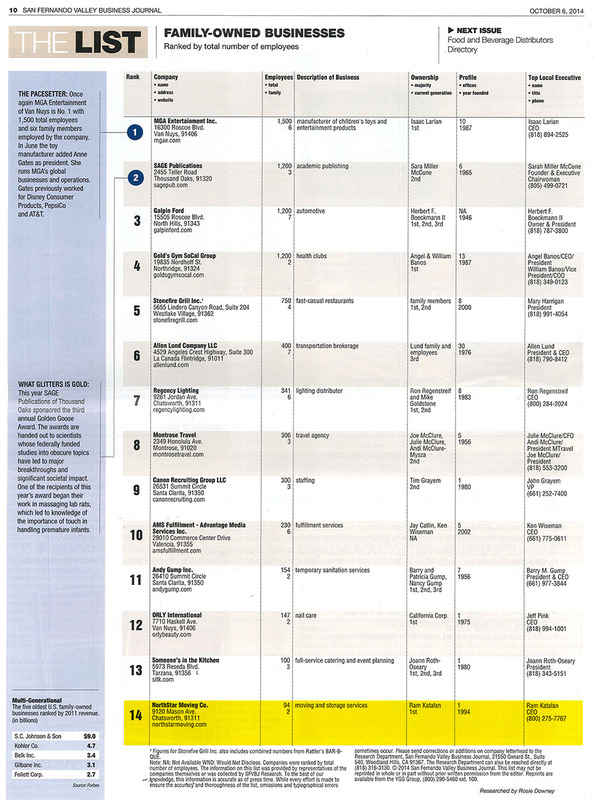 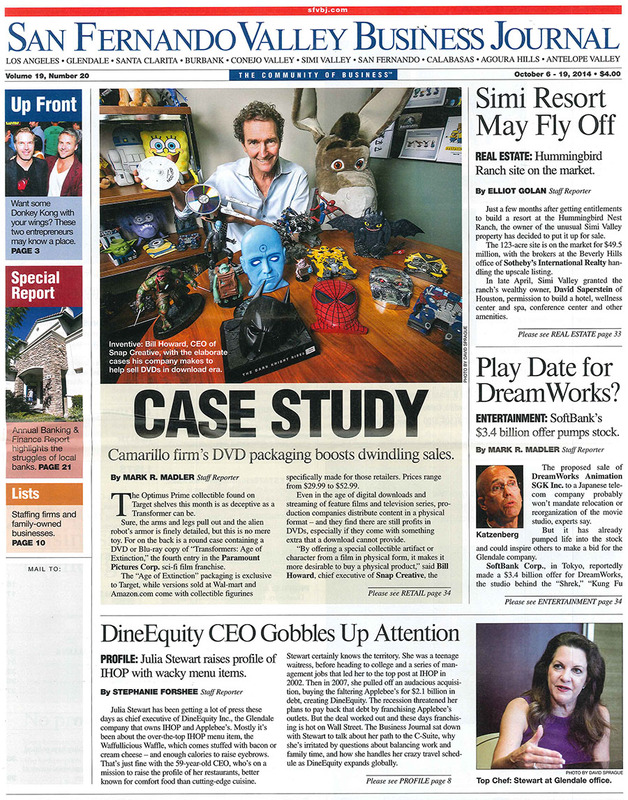 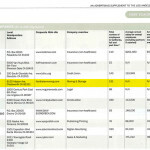 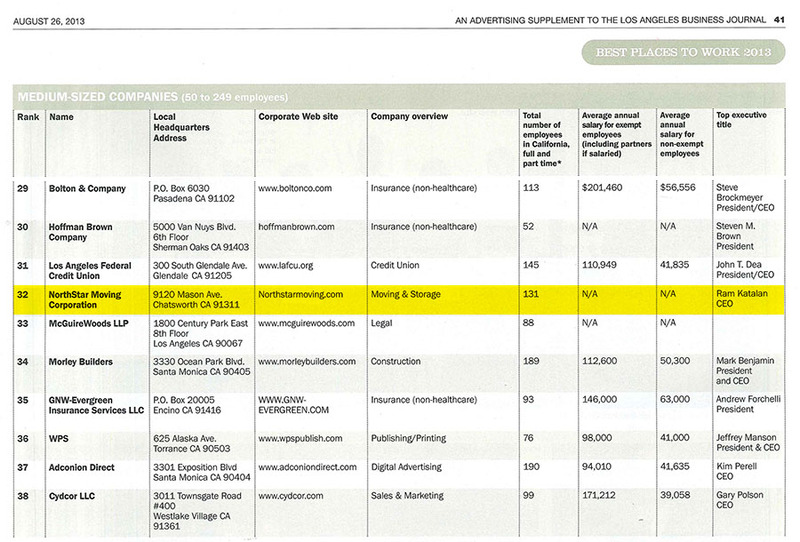 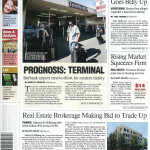 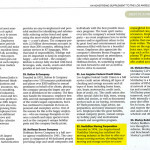 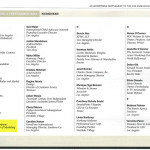 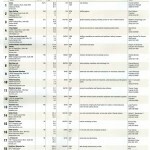 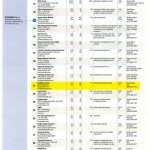 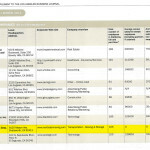 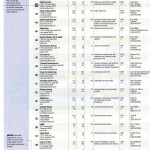 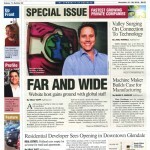 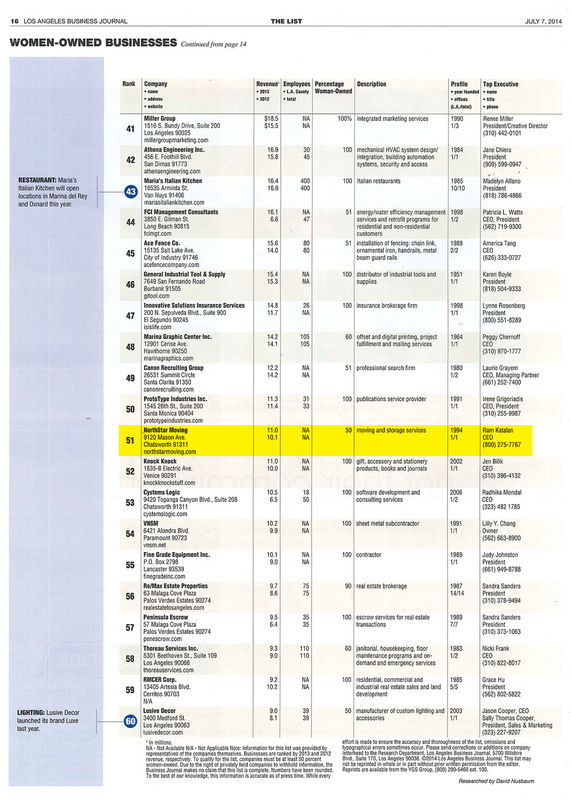 The list published in the Los Angeles Business Journal, we are #51! 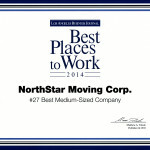 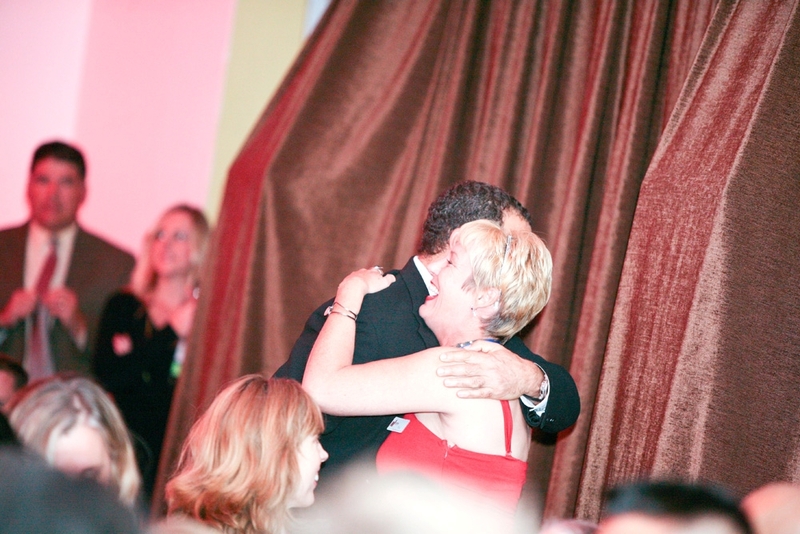 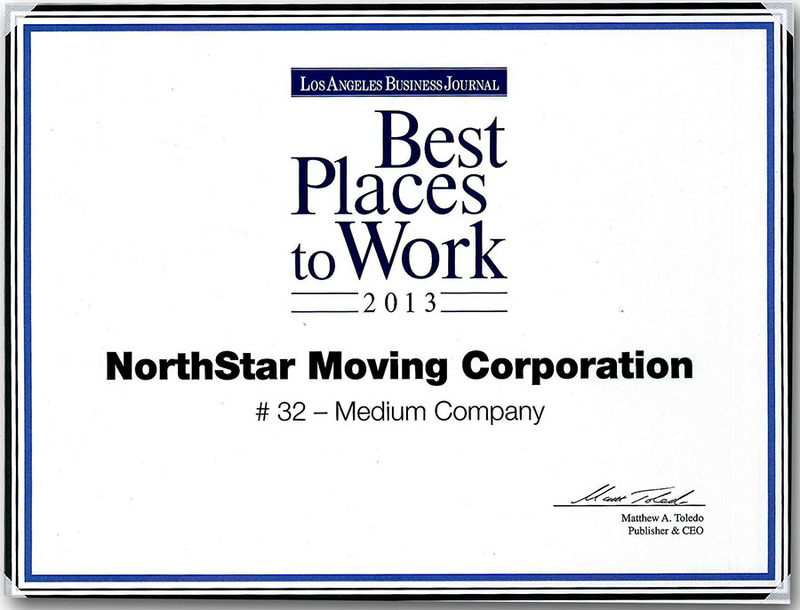 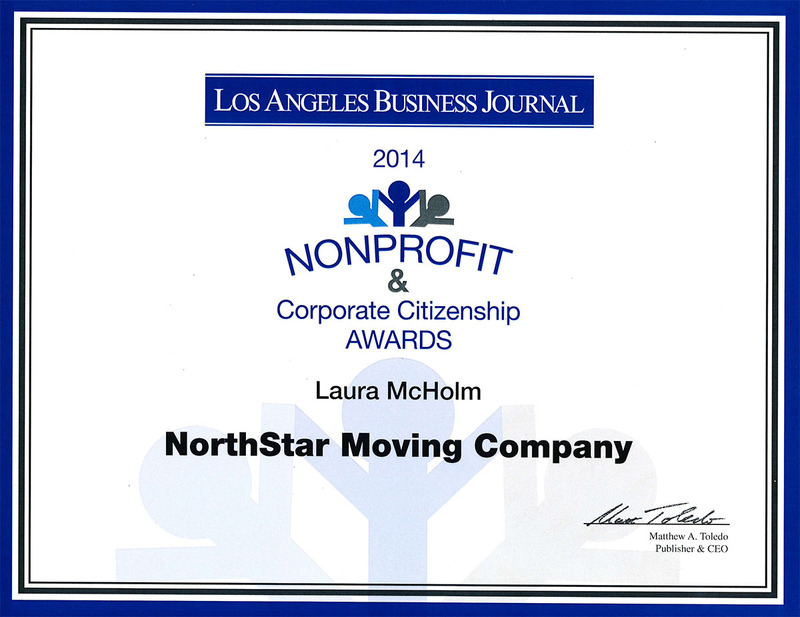 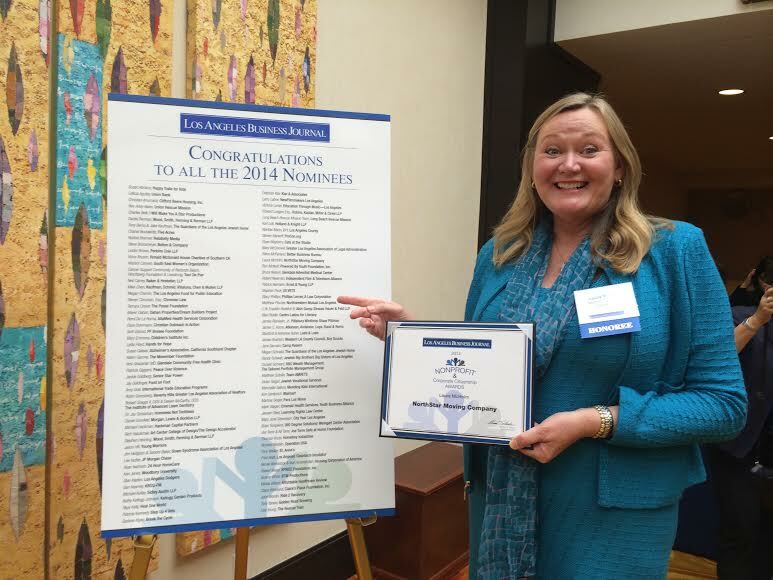 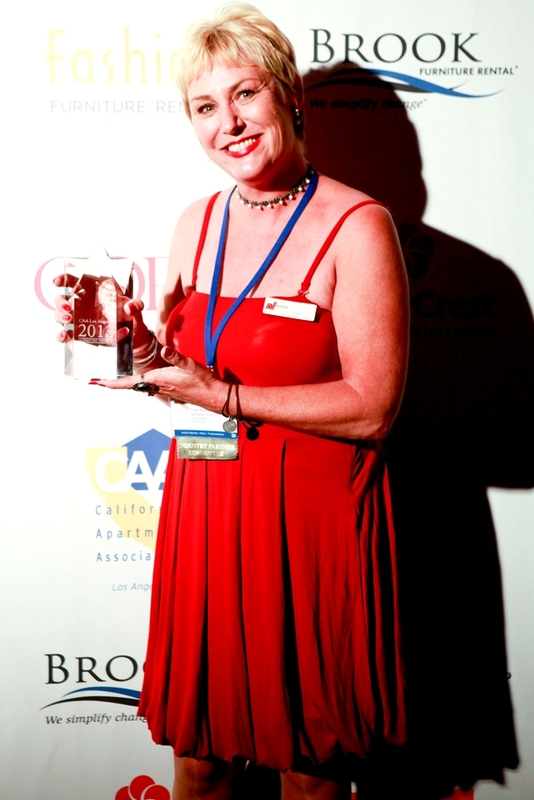 Laura McHolm, co-founder and chief marketing officer, for NorthStar Moving Company, was nominated for “Corporate Partner of the Year” at Los Angeles Business Journal’s 2014 Non-Profit and Corporate Citizenship Awards. 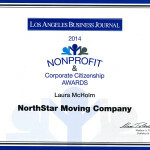 The awards honor individuals who demonstrate outstanding dedication to nonprofit organizations. 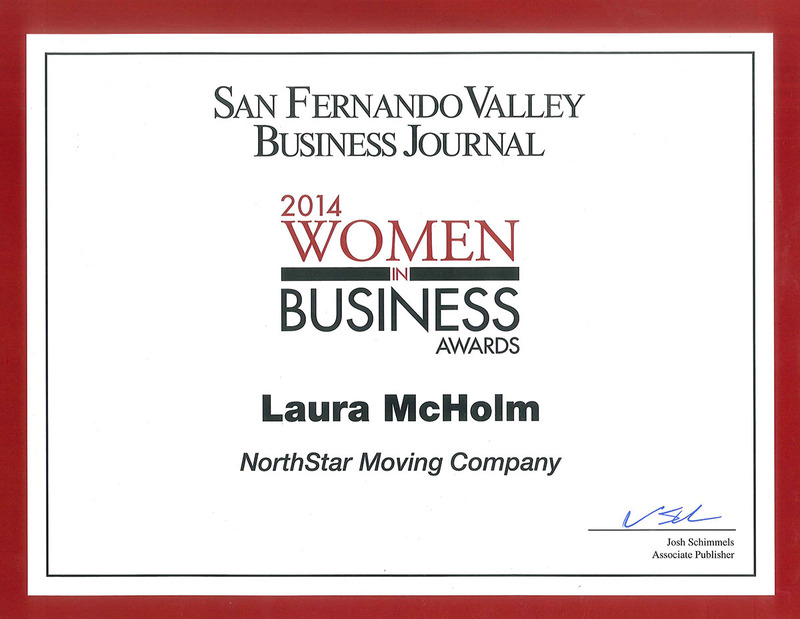 Laura McHolm, co-founder & chief marketing officer for NorthStar Moving Company, was nominated for the 2014 Women in Business Awards. 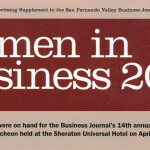 This award is given to women at the helm of companies making great strides in business. NorthStar Moving Company was recognized for our outstanding relationship with the California Apartment Association of Los Angeles, and we were nominated for the Signature Award for Industry Partner of the Year in 2013. 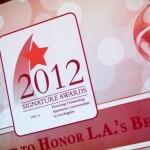 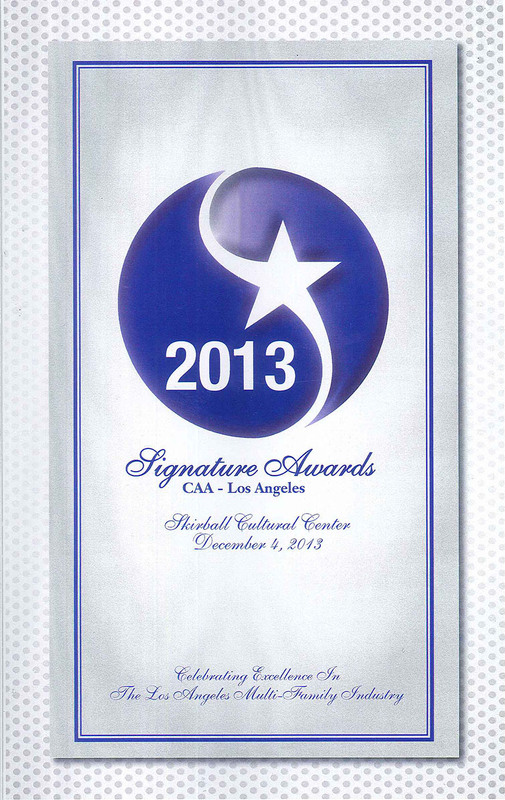 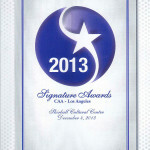 List of nominees for 2013 Signature Awards for Industry Partner of the Year. 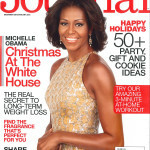 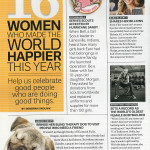 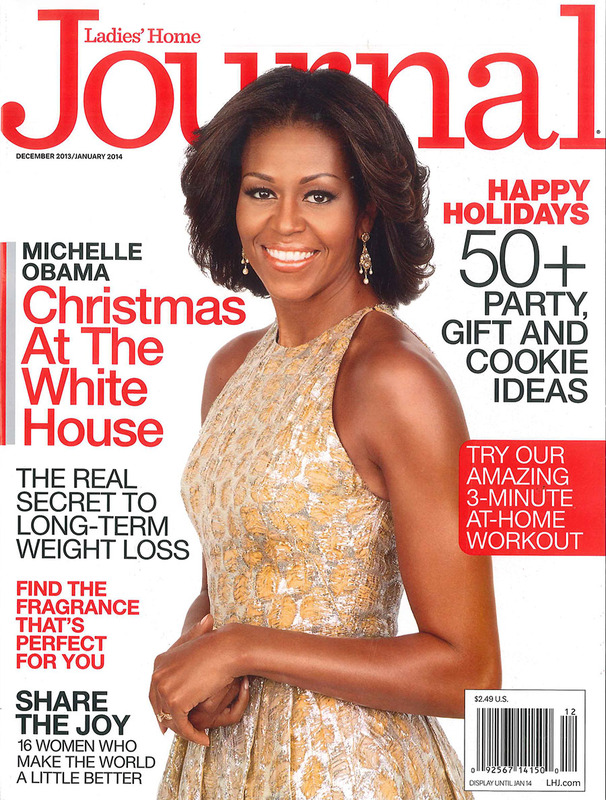 Ladies’ Home Journal created a list of 16 Women Who Made the World Happier This Year, celebrating and honoring women doing good. 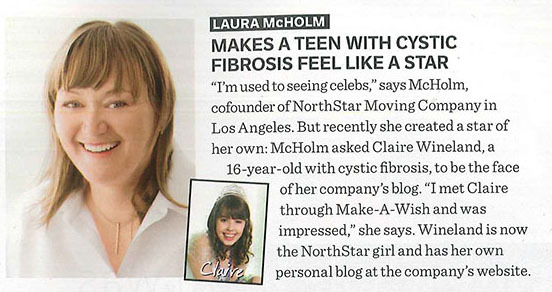 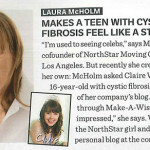 We are honored that Laura McHolm, Co-Founder and Director of Marketing of NorthStar Moving was included in the list for her and NorthStar Moving’s work with Claire Wineland of Claire’s Place Foundation. 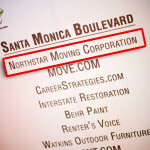 The Inc. 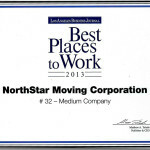 Hire Power Awards 2013 ranked NorthStar Moving #12 in the country for creating the most jobs in the logistics and transportation industry! 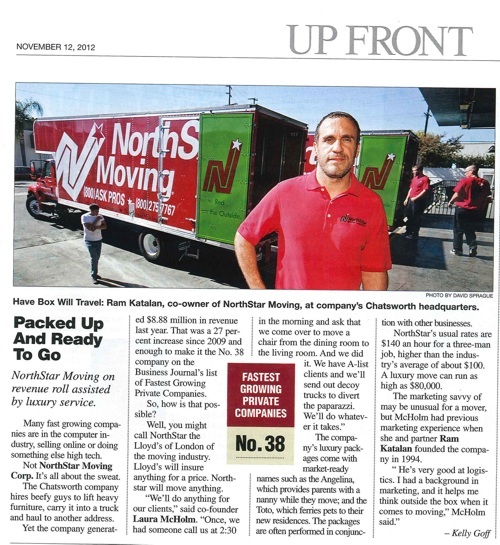 The San Fernando Valley Business Journal ranked NorthStar Moving Company #11 for one of the valley’s largest family-owned businesses in 2013. 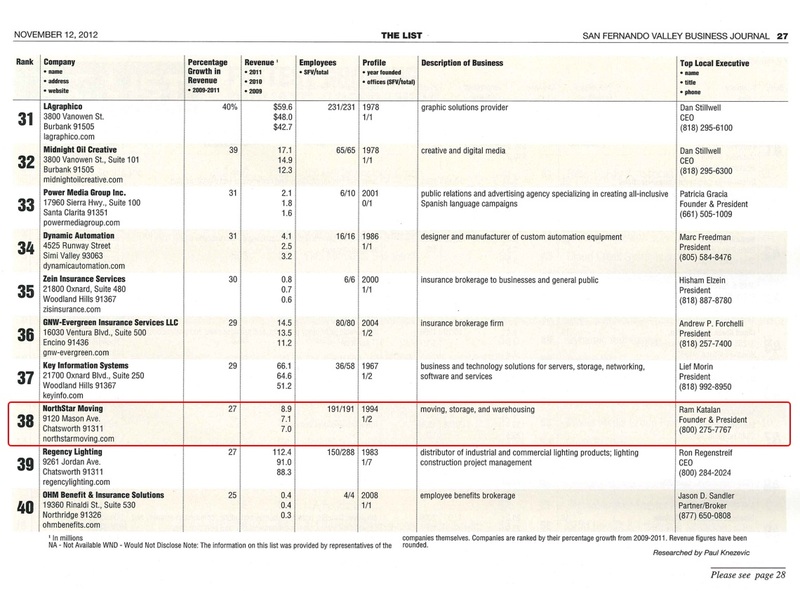 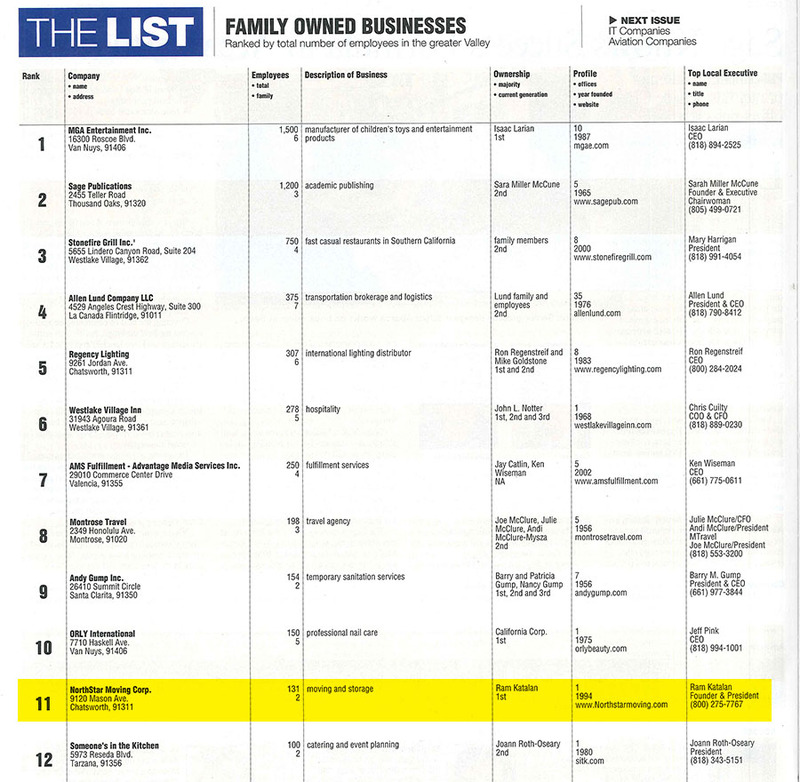 NorthStar Moving Company ranked #11 on the list of Largest Family Owned Businesses by the San Fernando Valley Business Journal. 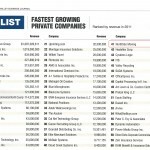 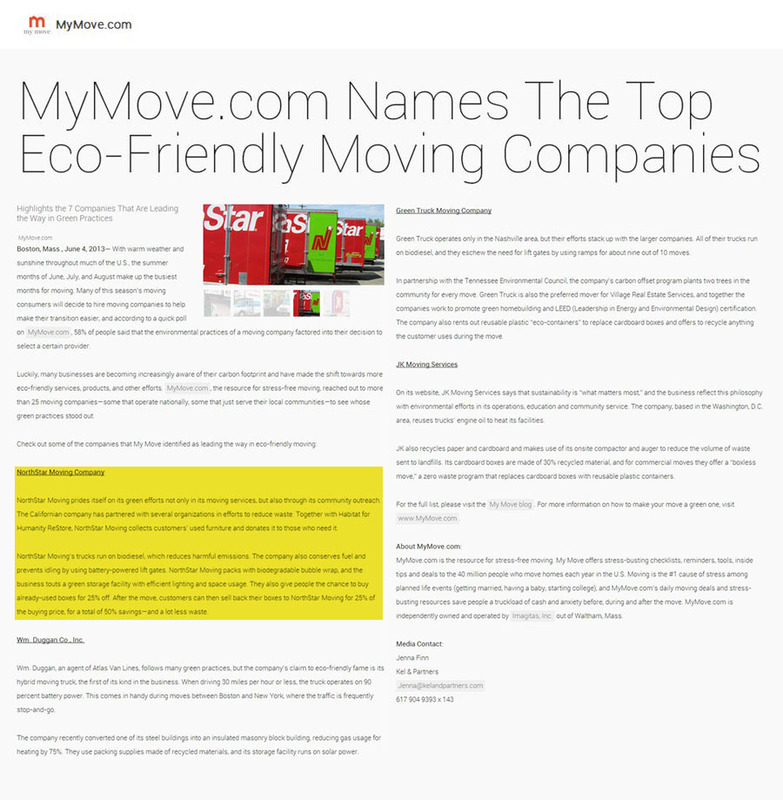 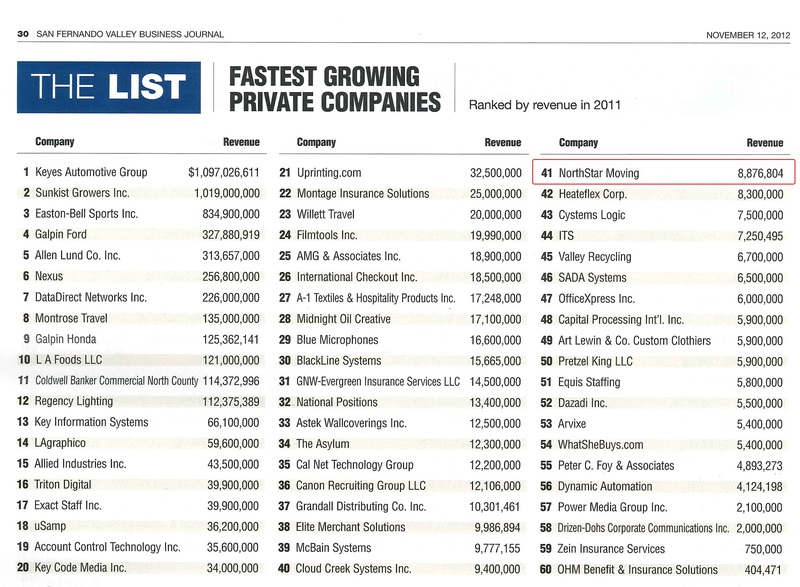 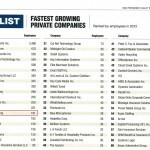 NorthStar Moving Company was once again recognized as one of the fastest growing privately-held companies in the United States by Inc. Magazine in 2013. 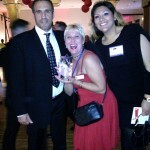 Ram Katalan, co founder & CEO, for NorthStar Moving Company, holding the award with Traci, client relations coordinator for NorthStar Moving Company. 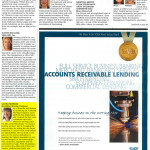 A business that has been operation for at least six month may apply for Better Business Bureau accreditation. 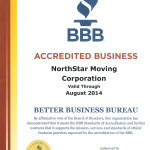 Any business accepted for accreditation in the Better Business Bureau must adhere to established Better Business Bureau standards of advertising and selling, including the Code of Online Business Practices, cooperate with the BBB’s activities and efforts to promote voluntary self-regulation within the business industry, and fulfill all licensing and bonding requirements of their city, county, state and federal agencies and authorities. 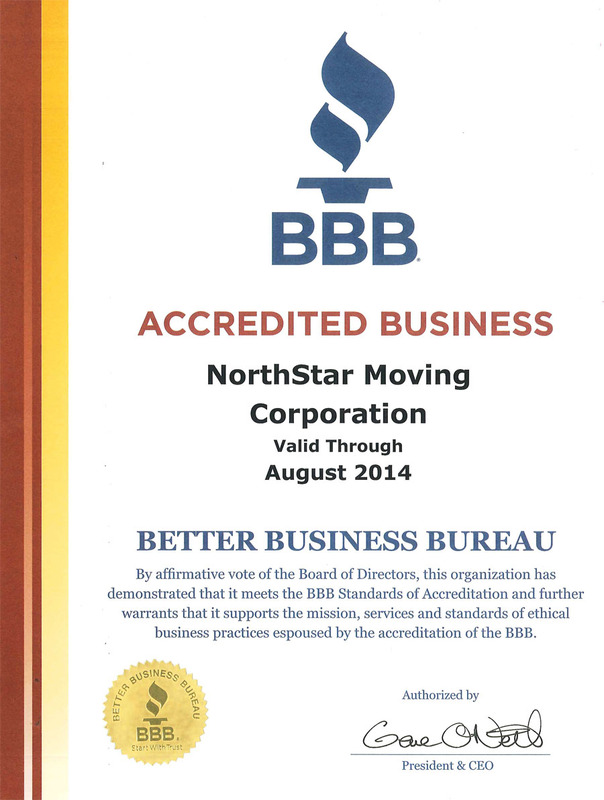 This is our BBB accreditation certificate for August 2013 through July 2014. 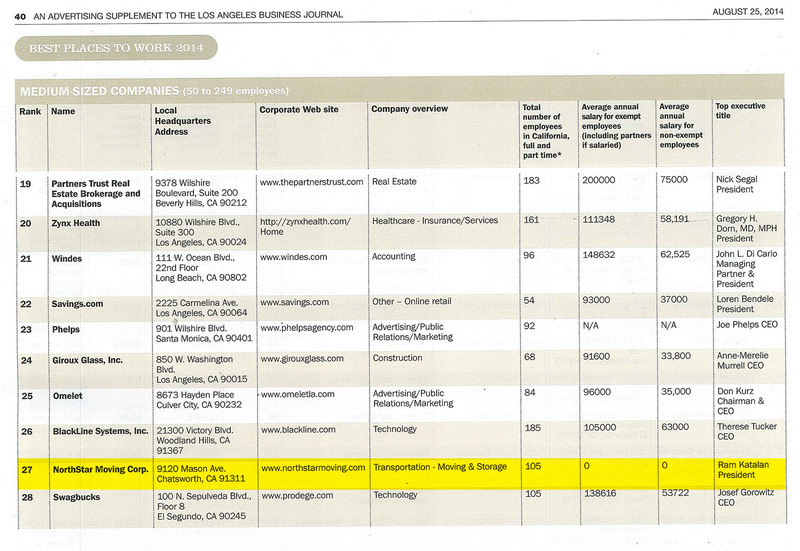 NorthStar Moving Company was once again recognized by the Los Angeles Business Journal as number 54 out of the Top 100 Women-owned Businesses based in Los Angeles County. 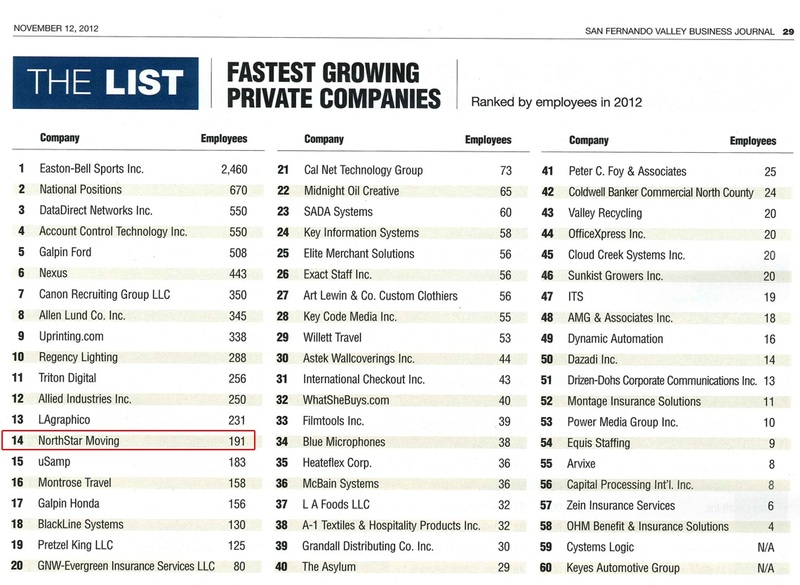 This annual list was ranked by revenues. 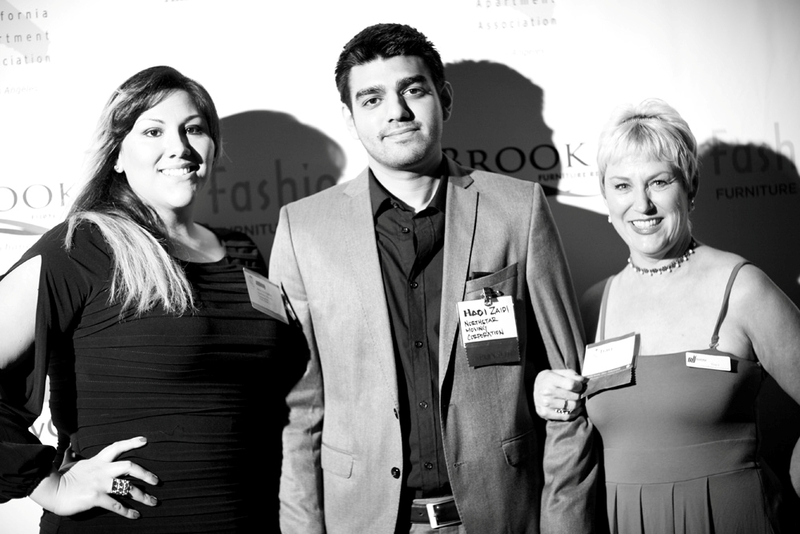 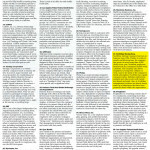 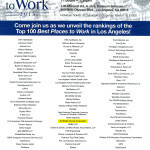 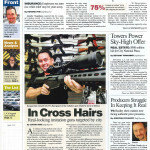 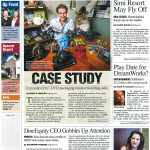 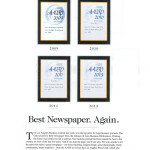 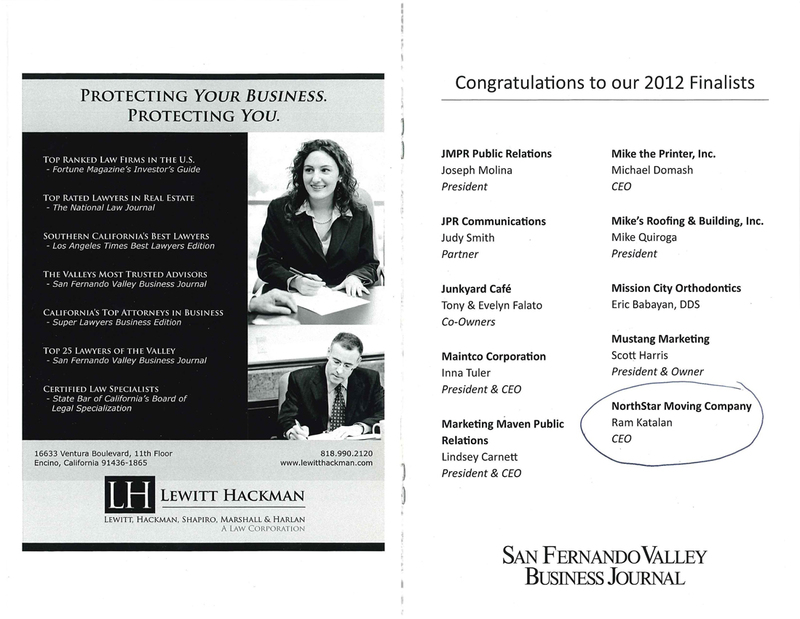 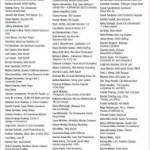 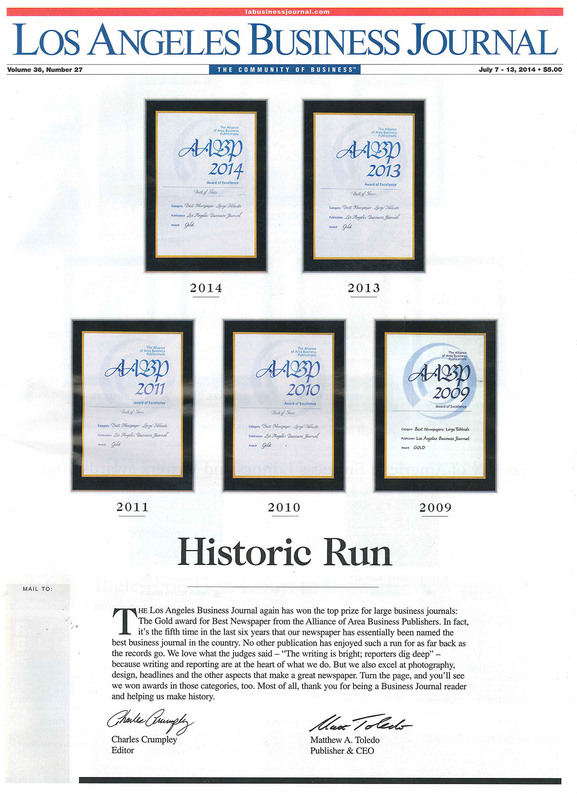 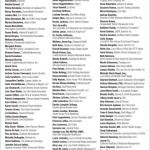 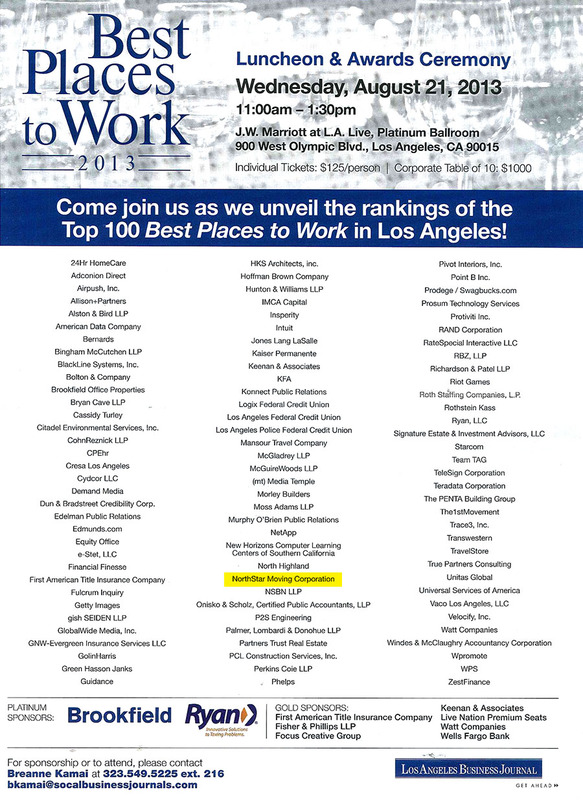 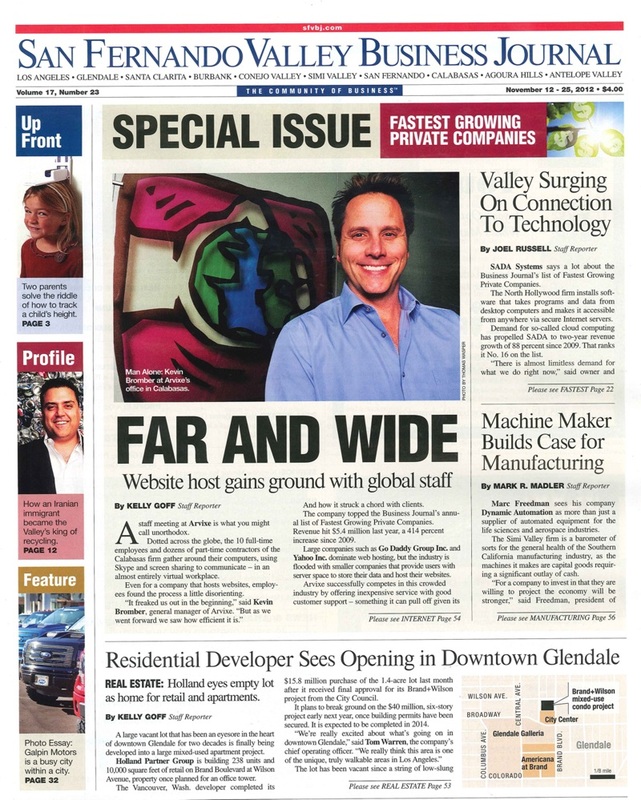 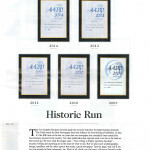 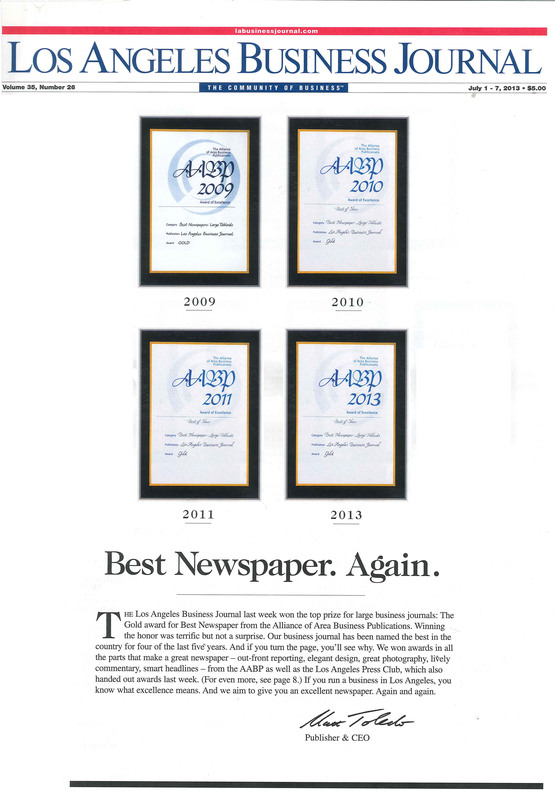 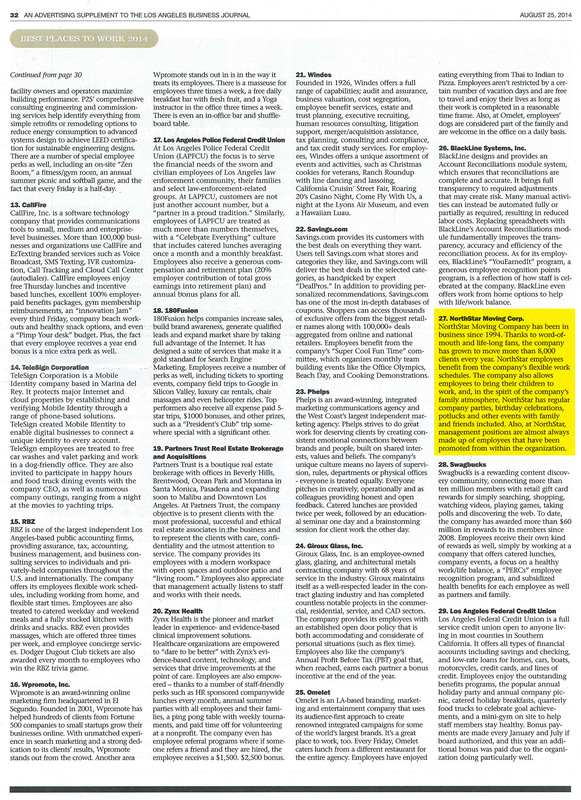 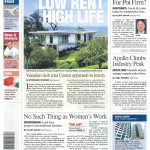 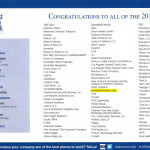 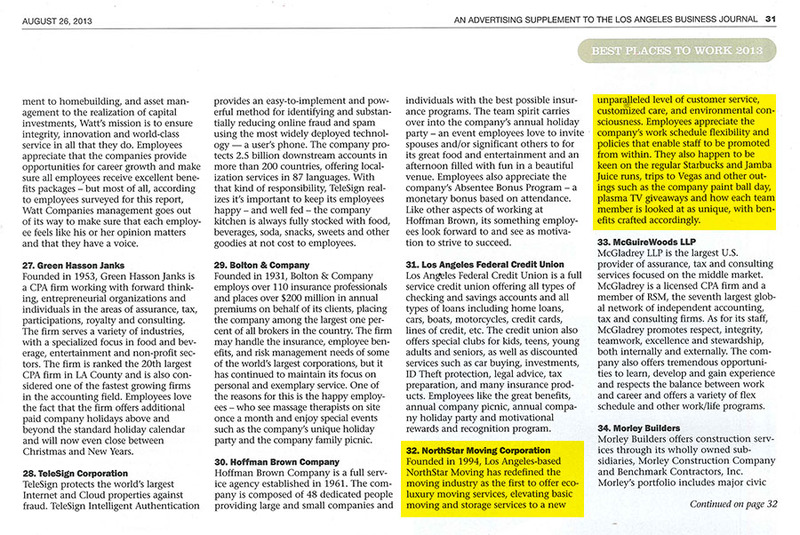 The list published in the Los Angeles Business Journal, we are 54! 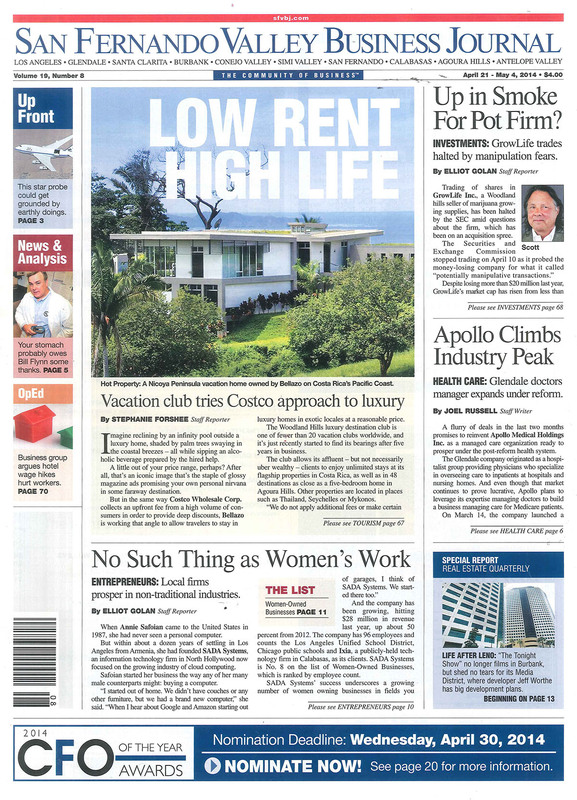 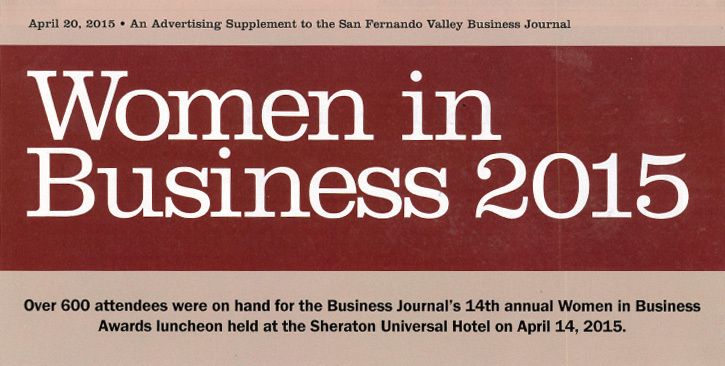 The Los Angeles Business Journal issue that features the 2013 list of Largest Women Owned Businesses. 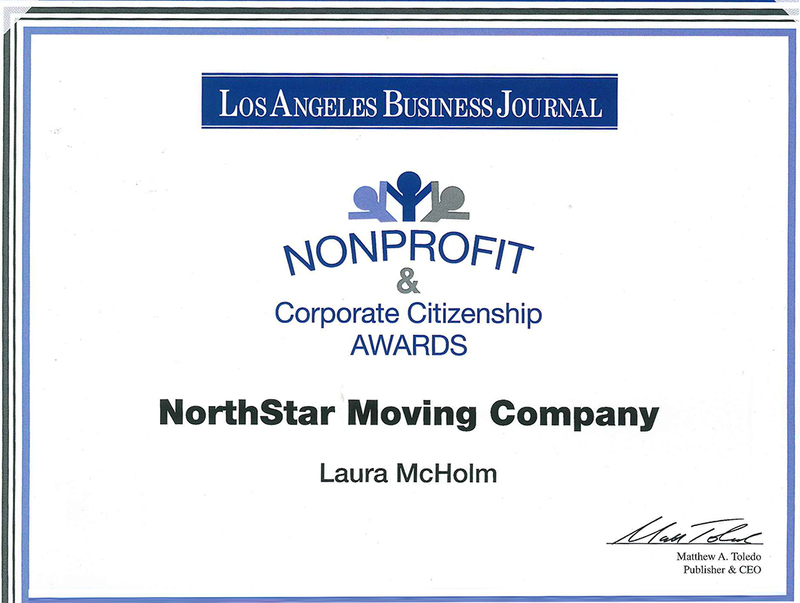 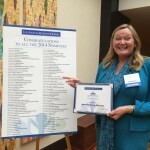 Laura McHolm, co-founder and director of marketing, for NorthStar Moving Company, was nominated for “Corporate Partner of the Year” and for the “Leadership Excellence Award” at the 2013 Nonprofit and Corporate Citizenship Awards. 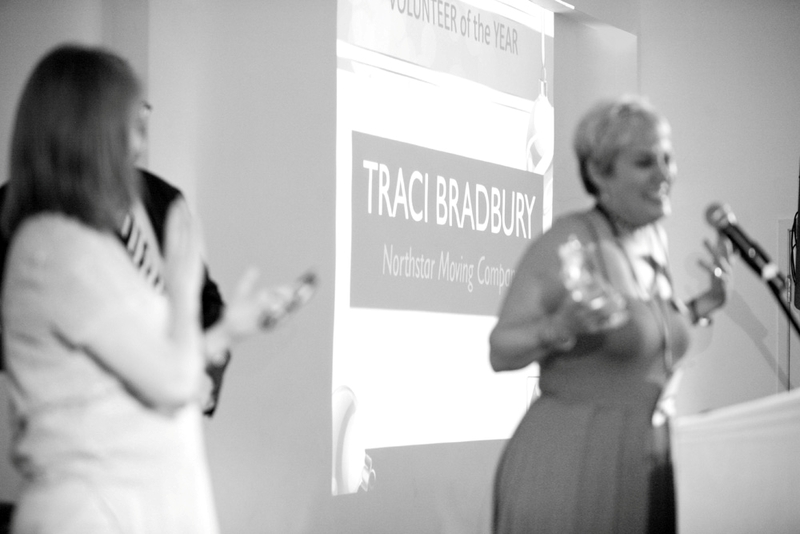 The awards honor individuals who demonstrate outstanding dedication to nonprofit organizations. 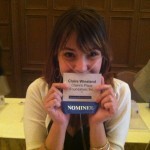 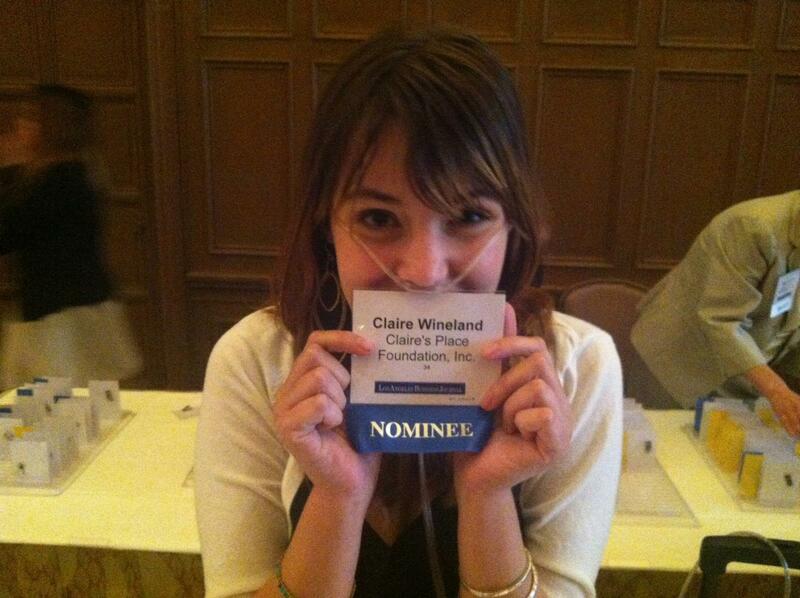 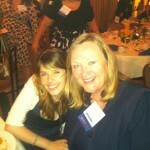 Claire Wineland of Claire’s Place Foundation holding up her nominee badge at the event! 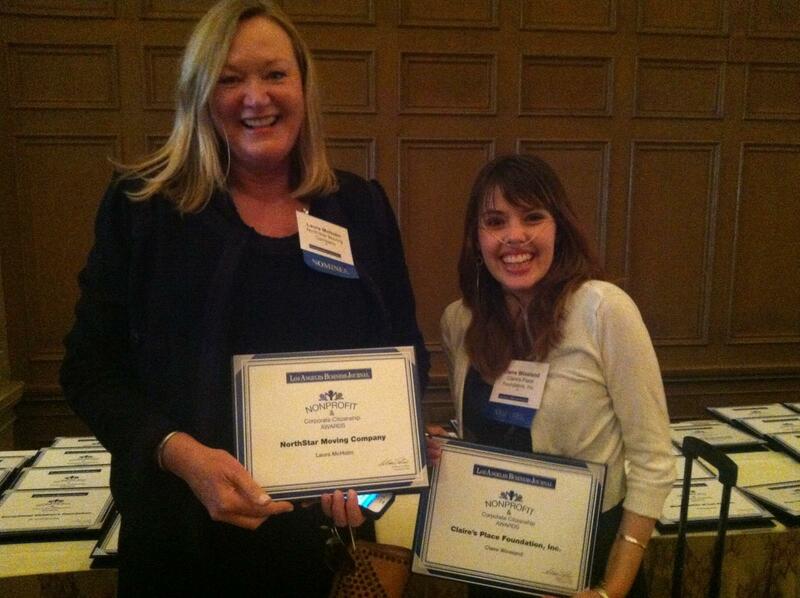 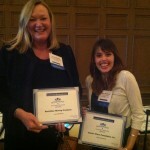 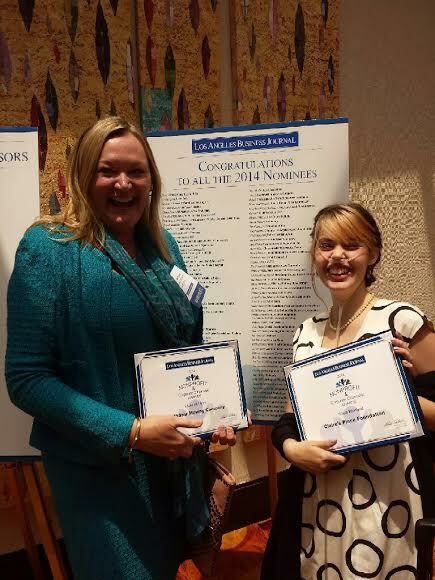 Laura McHolm and Claire Wineland holding their certificates at the event! 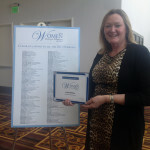 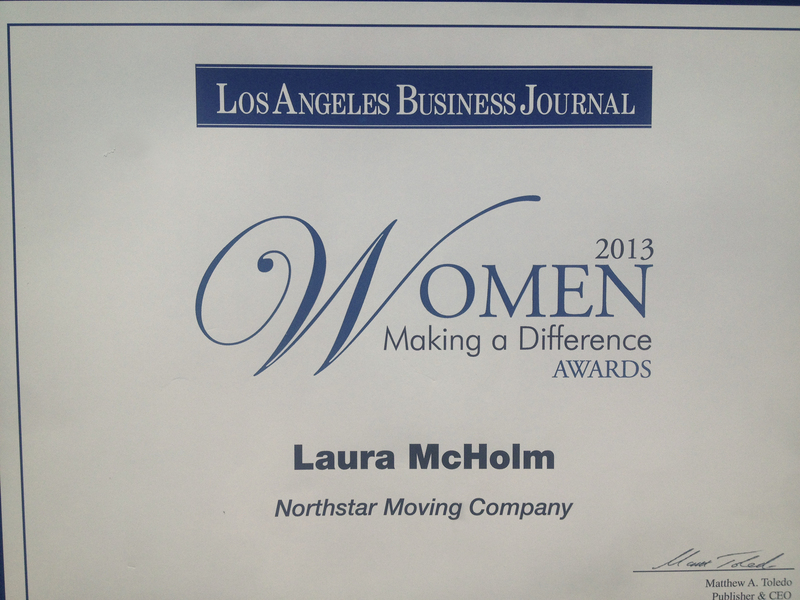 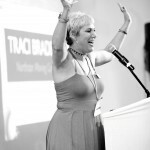 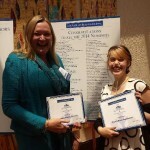 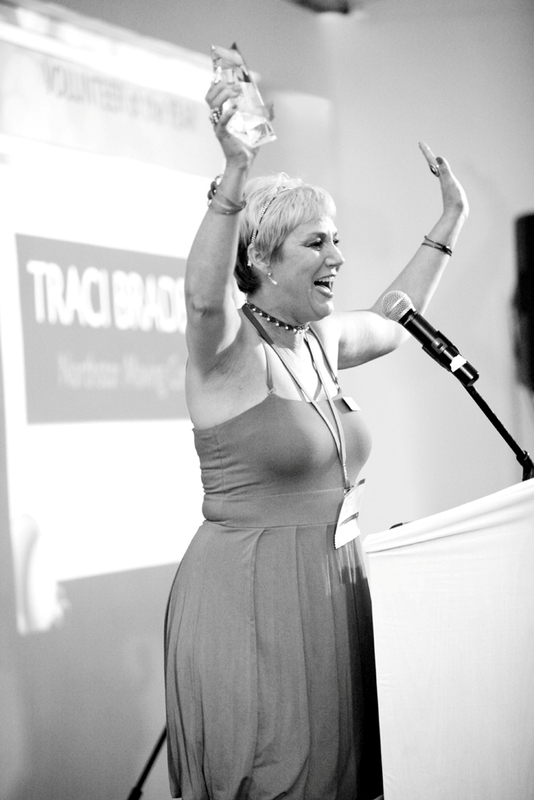 Laura McHolm, co-founder and director of marketing, for NorthStar Moving Company, was nominated for the 2013 Women Making a Difference Award. 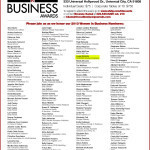 This award honors business women in Los Angeles who are great leaders and have done exceptional work with the community. 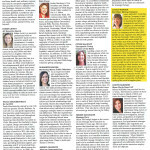 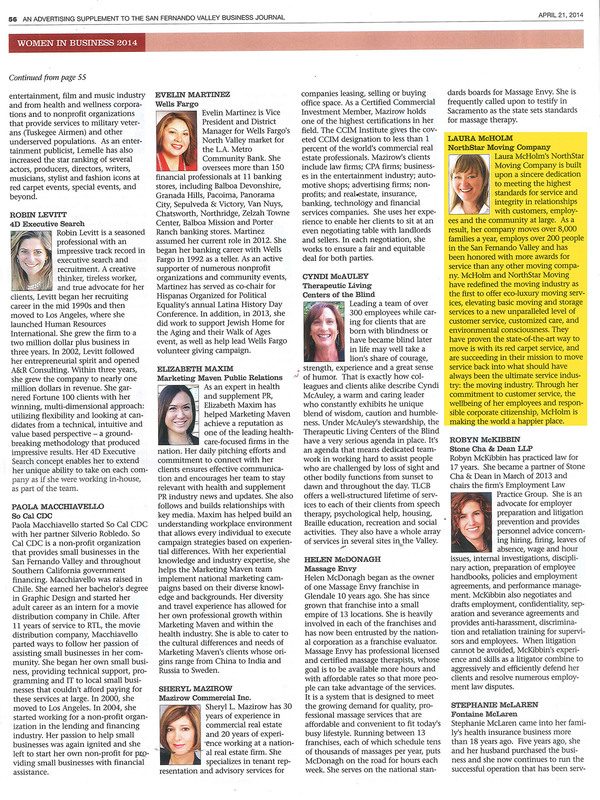 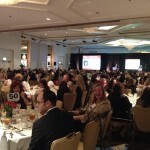 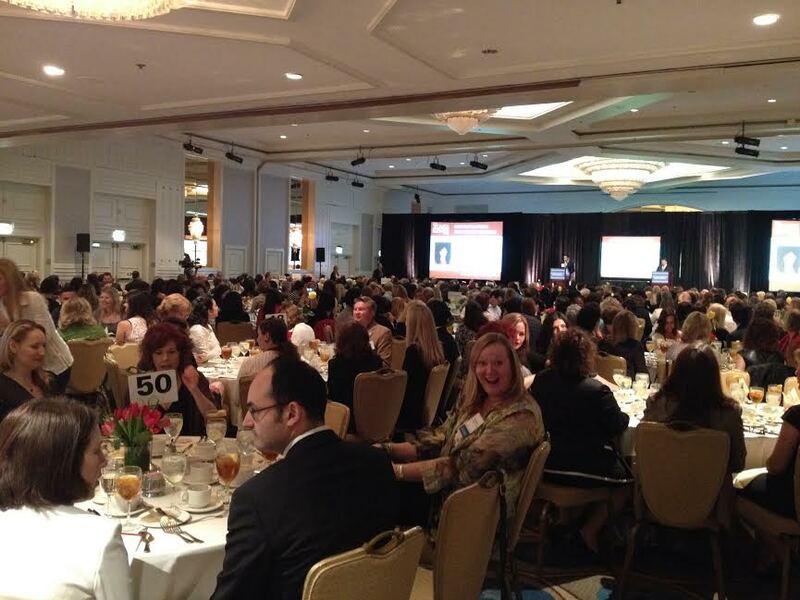 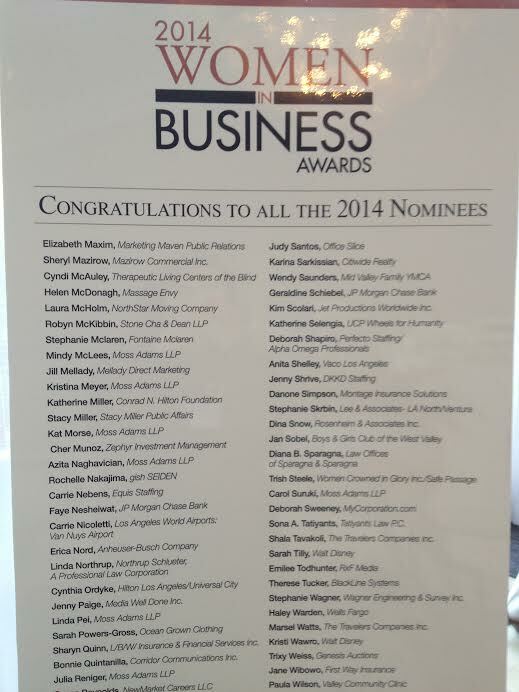 The nominees for the Los Angeles Business Journal’s 2013 Women Making a Difference Awards. 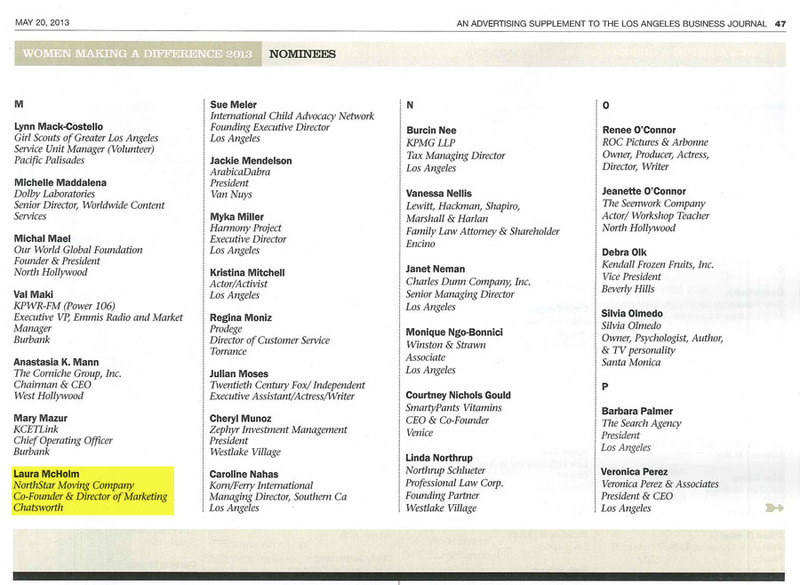 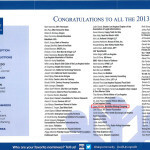 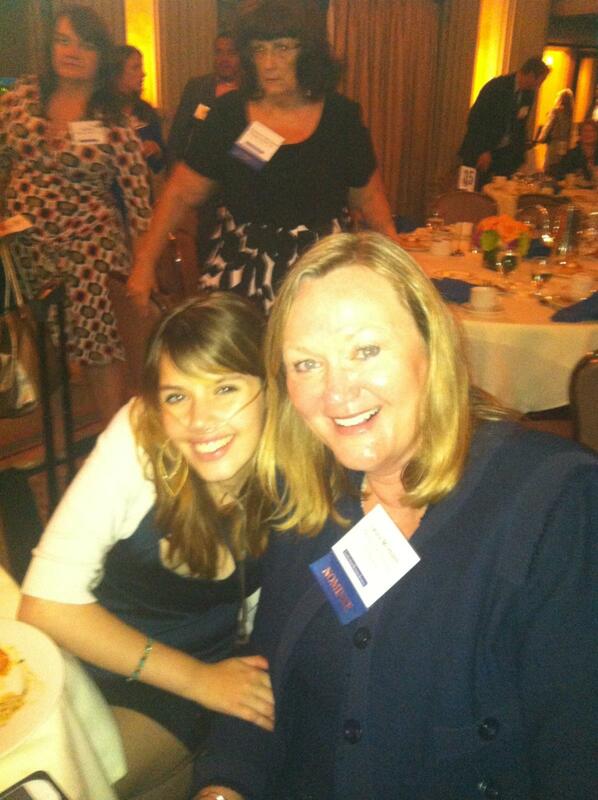 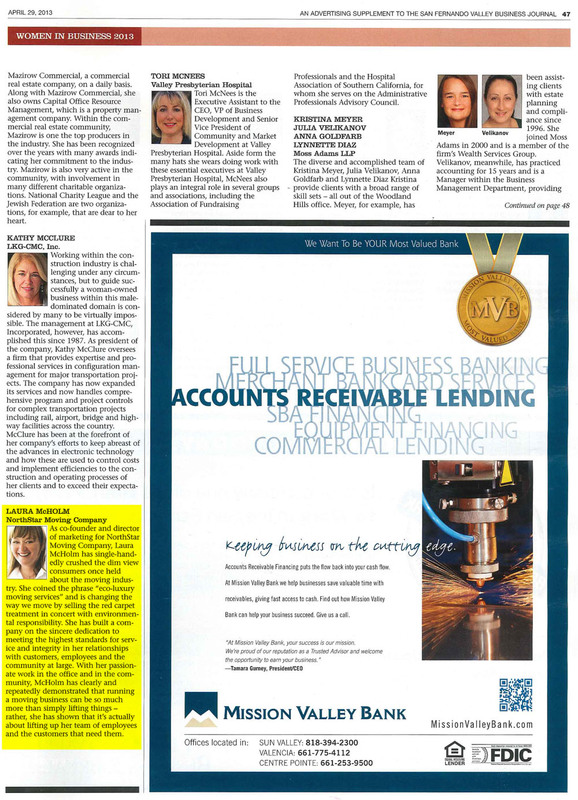 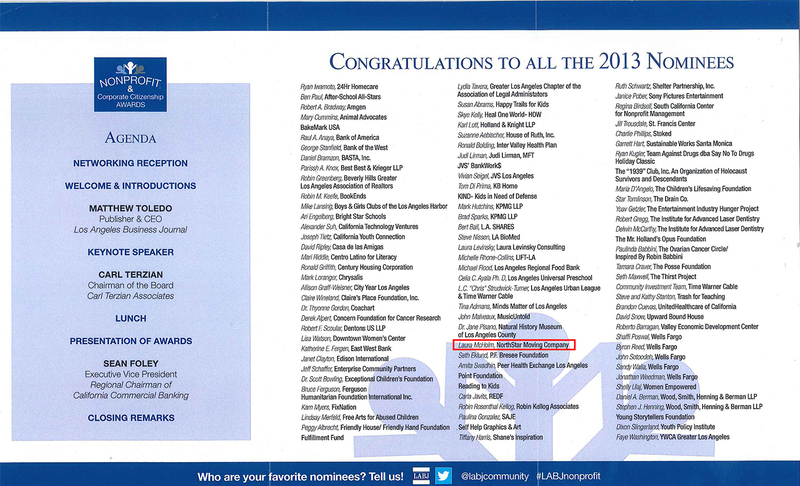 Laura McHolm listed in the Los Angeles Business Journal’s 2013 Women Making a Difference Awards Nominees. 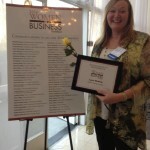 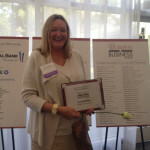 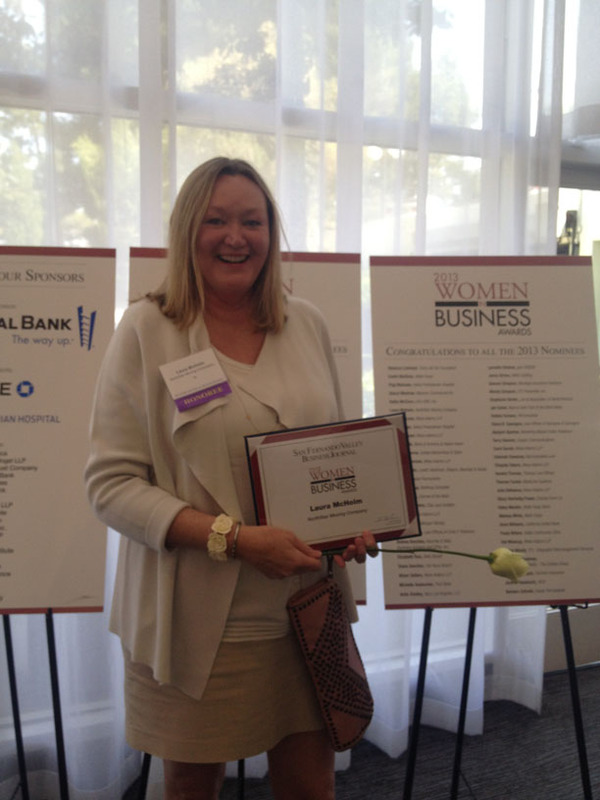 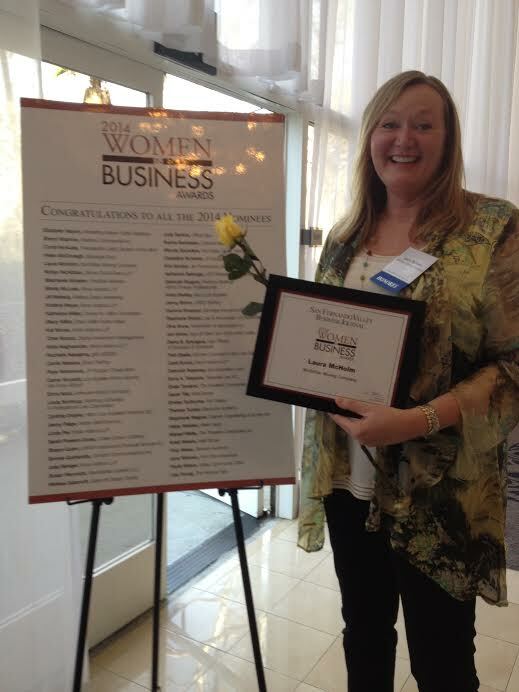 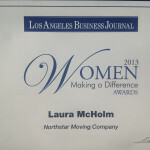 Laura McHolm, co-founder and director of marketing, for NorthStar Moving Company, was nominated for the 2013 Women in Business Award. 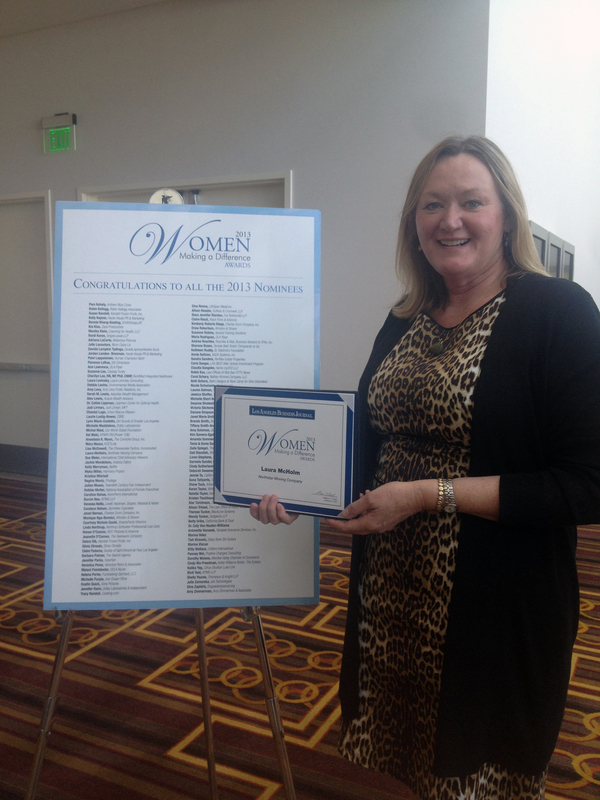 This award is given to women at the helm of companies making great strides in business. 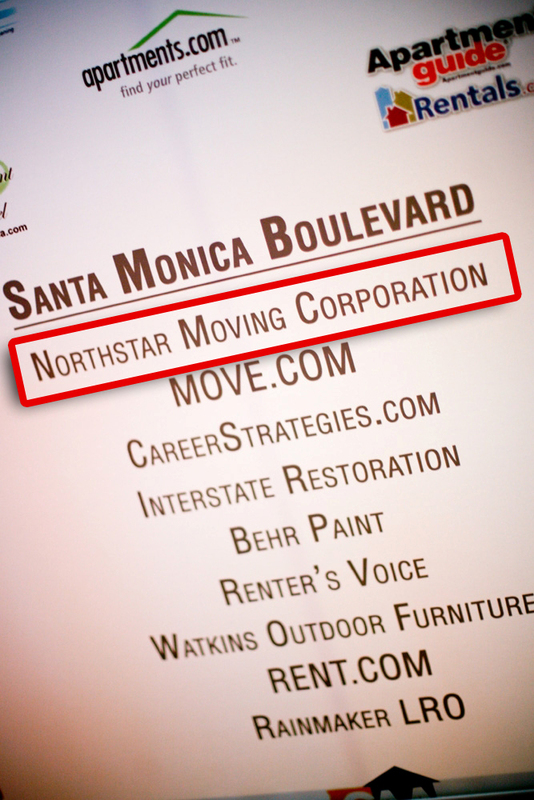 The NorthStar Moving Company marketing team was once again nominated as one of the best in Los Angeles by the California Apartment Association of Los Angeles (CAA-LA). 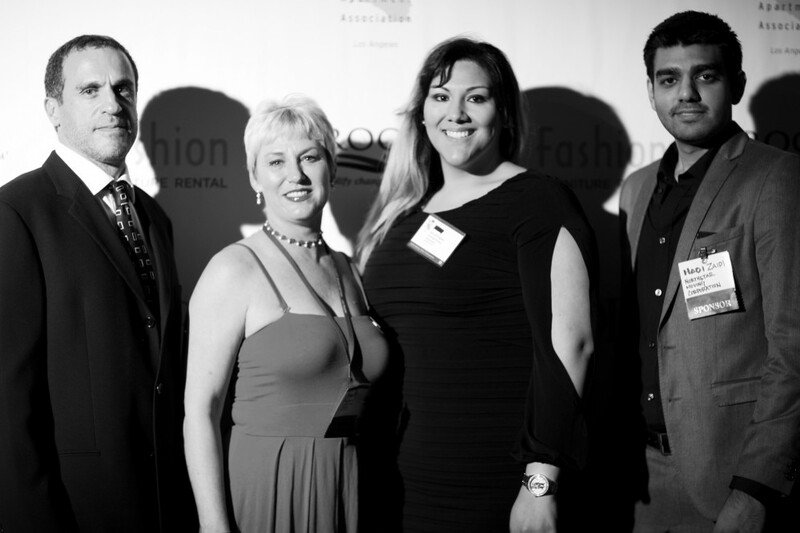 The CAA-LA is an association for people who own or manage rental property. 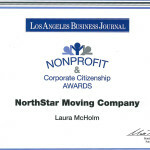 Traci Bradbury, client relations coordinator for NorthStar Moving Company, received the Signature Award for Volunteer of the Year by the California Apartment Association of Los Angeles (CAA-LA) honoring an individual who exemplifies an amazing spirit of volunteerism, a positive attitude and a drive for excellence. 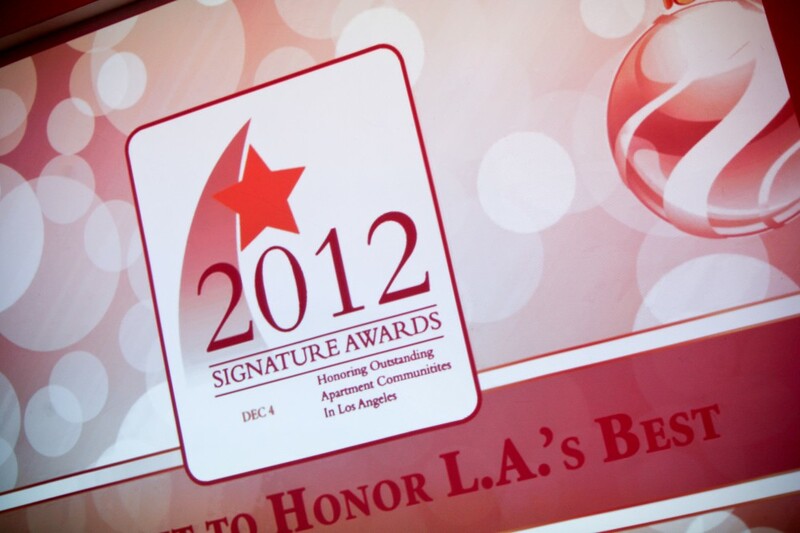 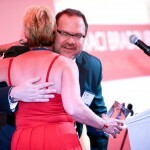 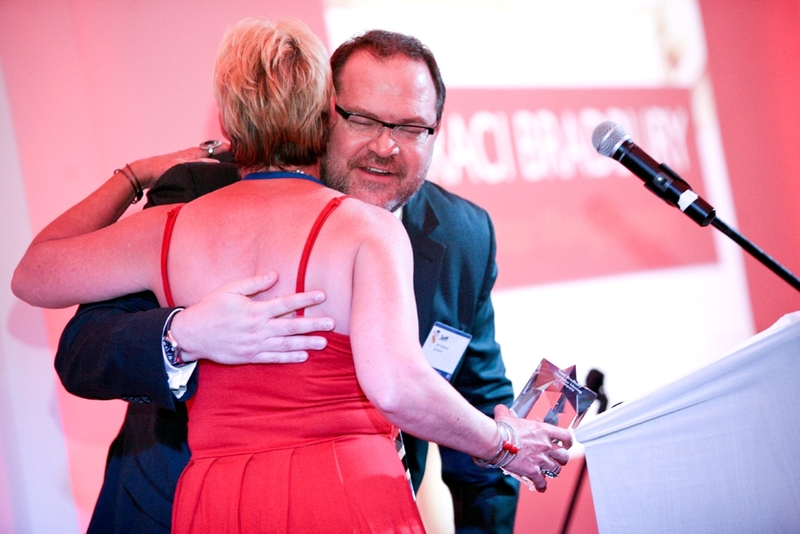 The recipient represents the best in the industry. 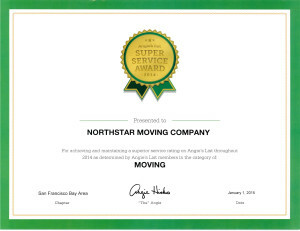 NorthStar Moving Company was recognized for our outstanding relationship with the California Apartment Association of Los Angeles, and we were nominated for the Signature Award for Industry Partner of the Year in 2012. 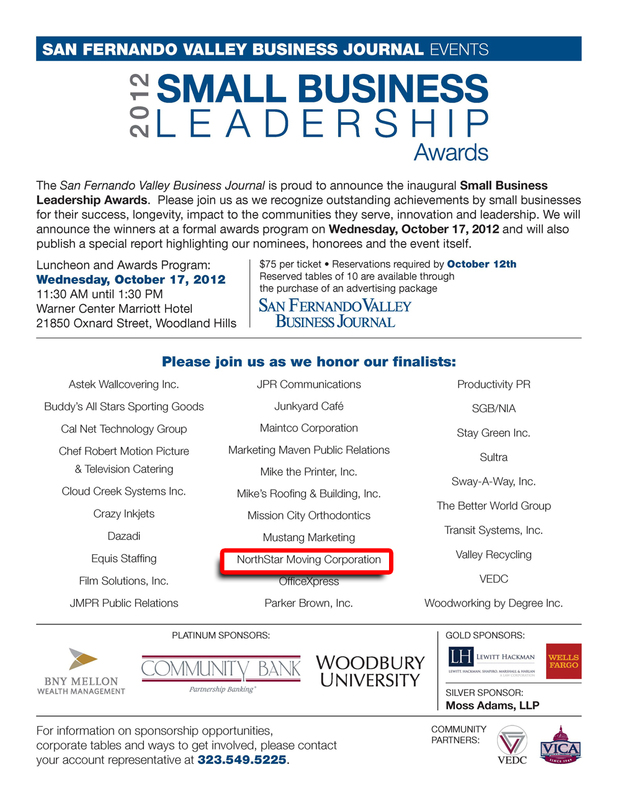 Given by the San Fernando Valley Business Journal, this award recognizes outstanding achievements by small businesses for their success, longevity, impact to the communities they serve, innovation and leadership. 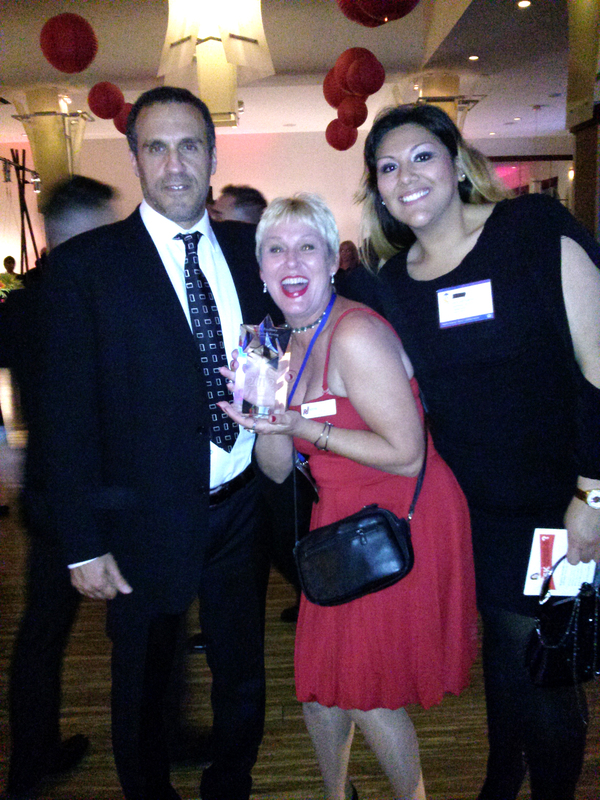 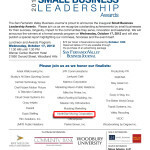 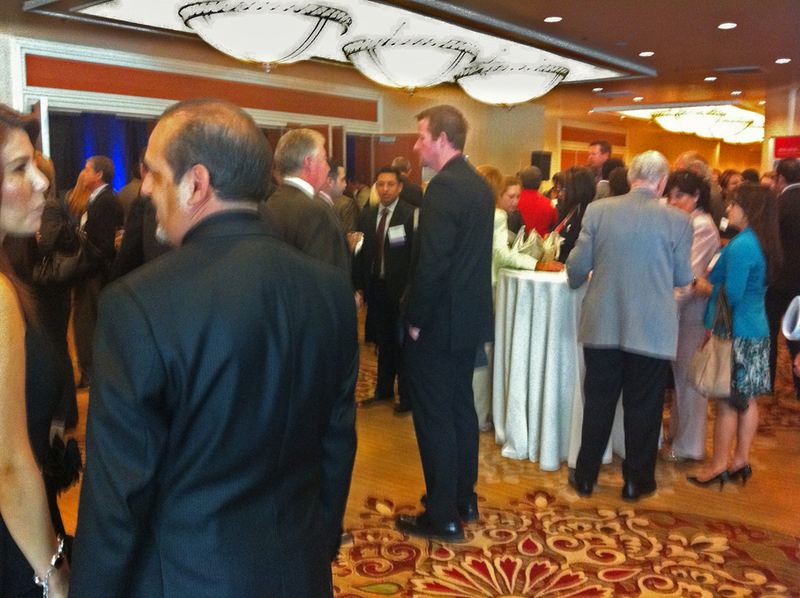 NorthStar Moving Company was honored to be a finalist for the 2012 Small Business Leadership Award. 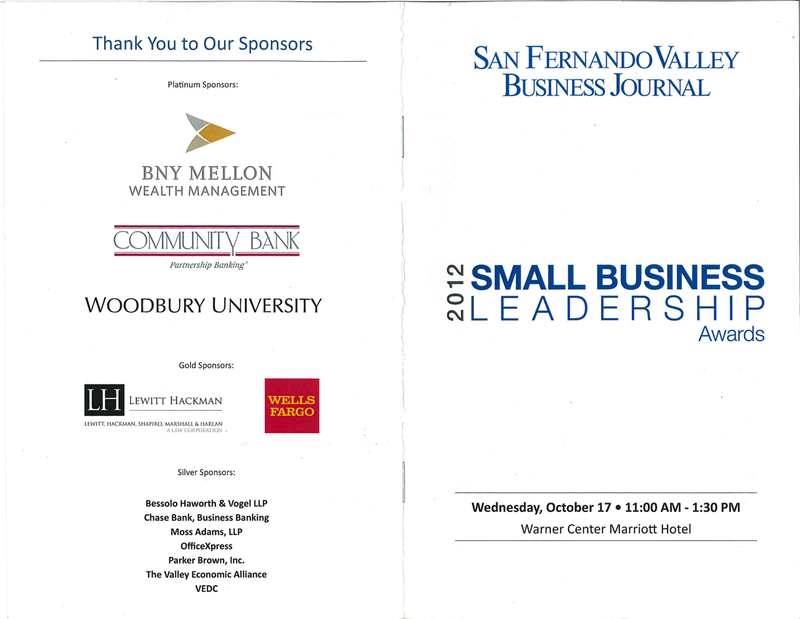 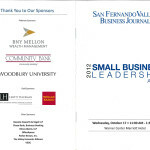 Program Cover from the Small Business Leadership Awards event. 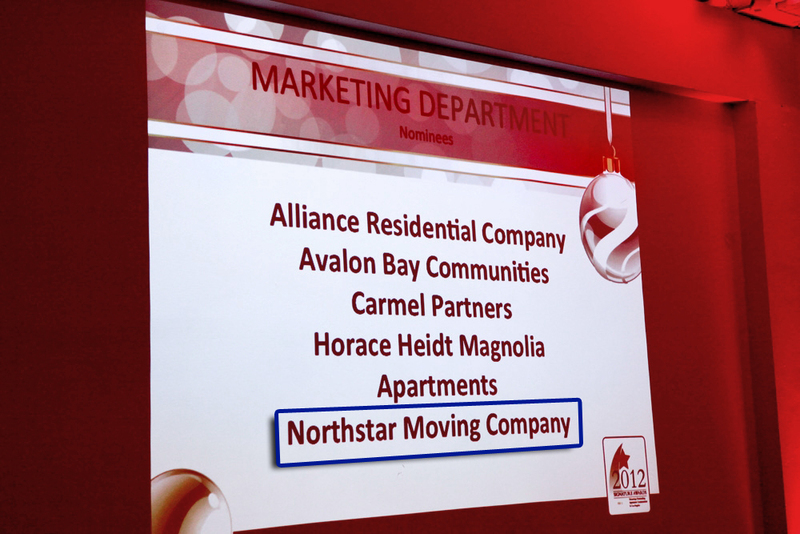 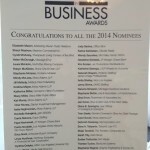 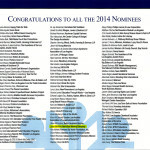 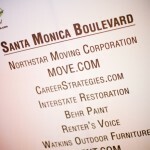 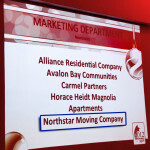 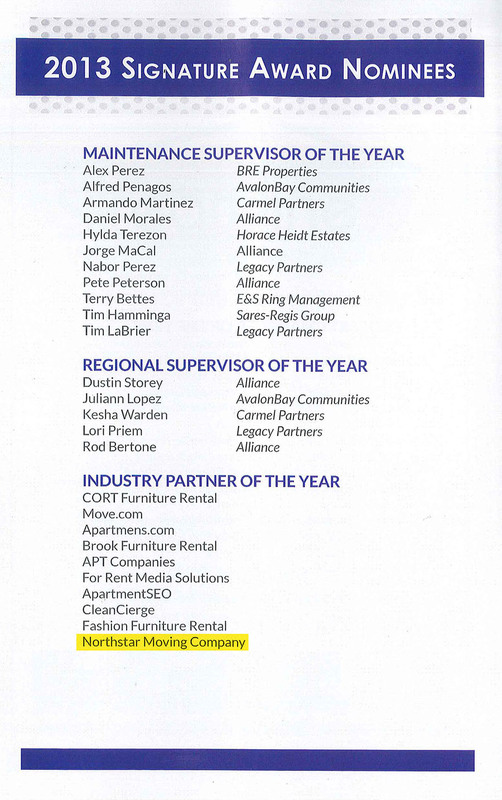 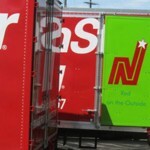 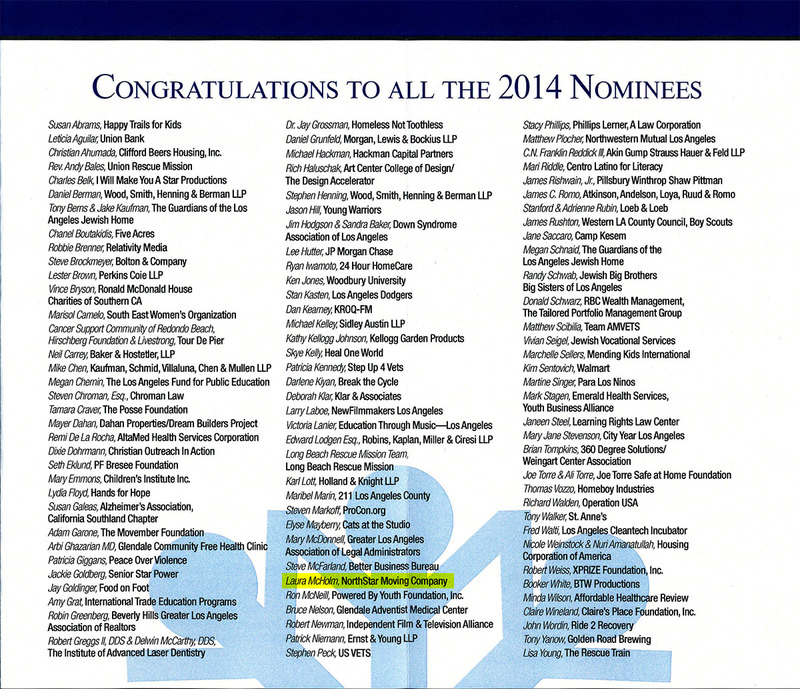 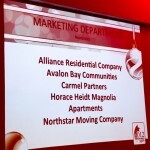 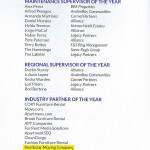 NorthStar Moving Company listed as a finalist in the award event program. 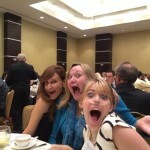 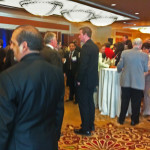 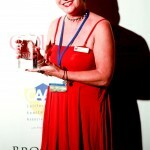 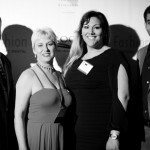 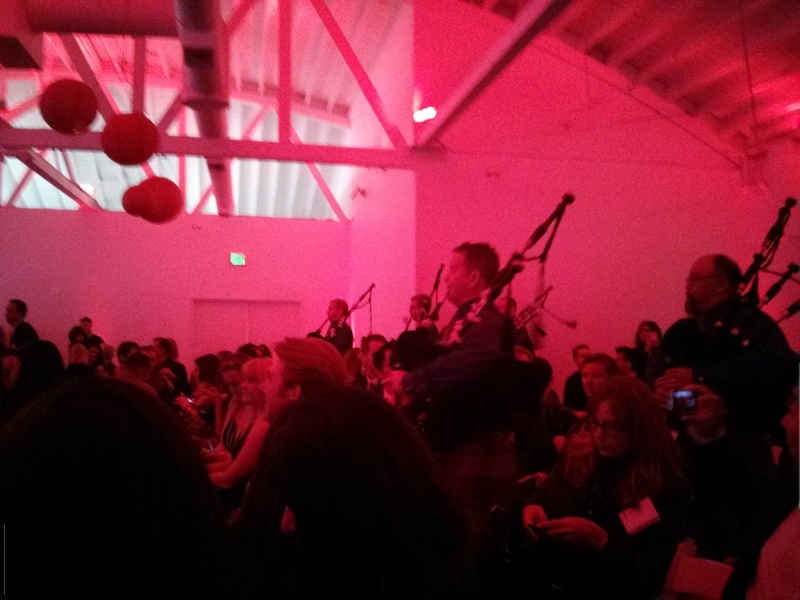 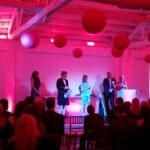 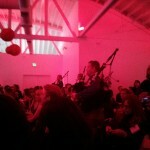 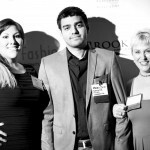 A photo from the awards event.